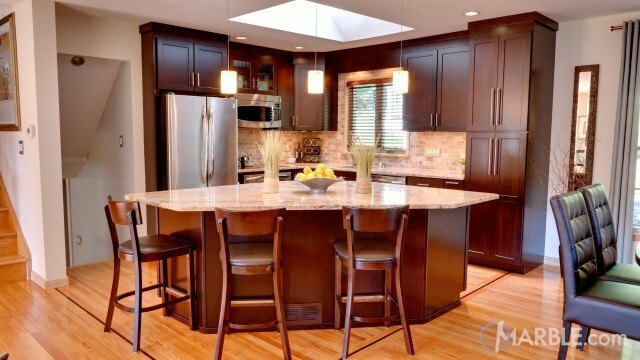 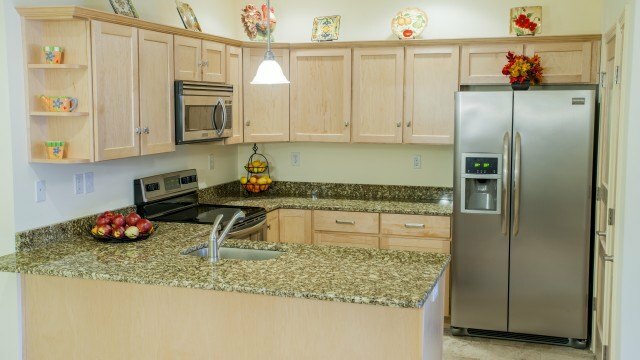 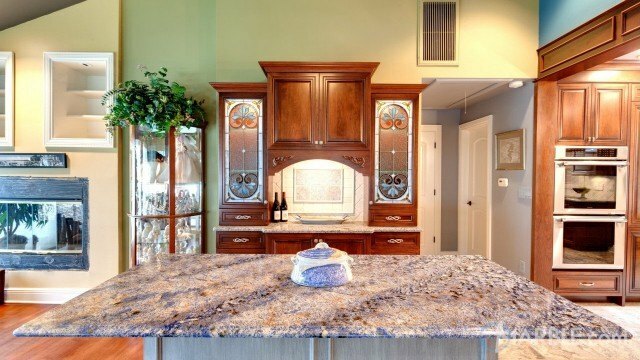 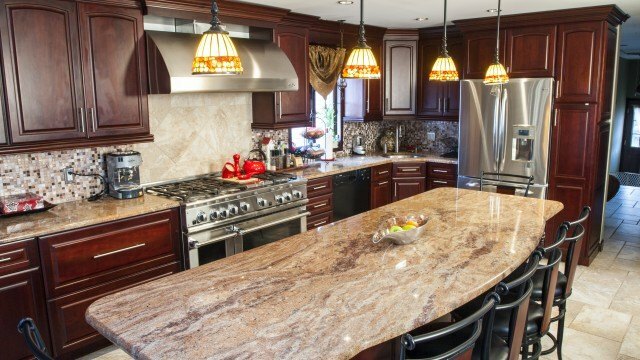 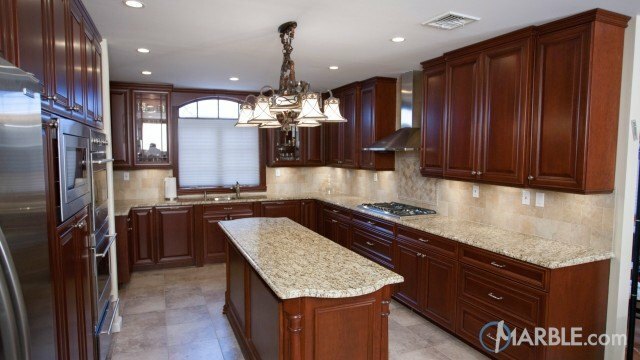 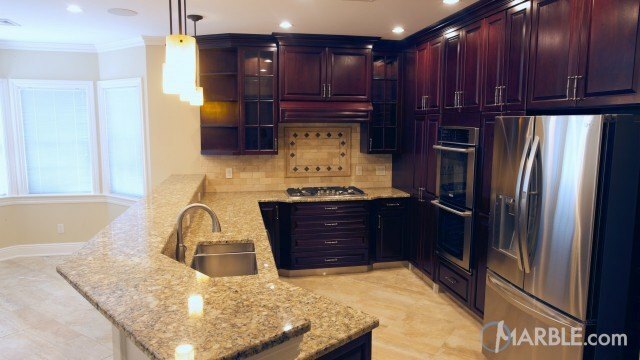 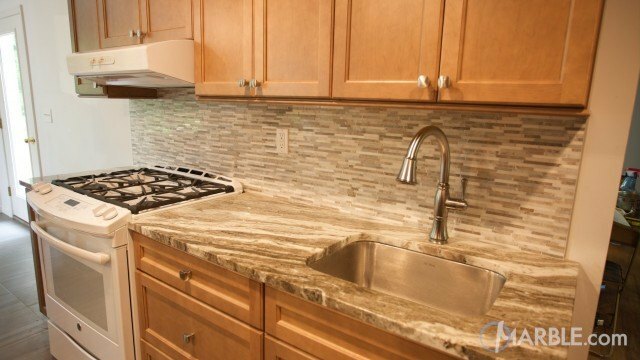 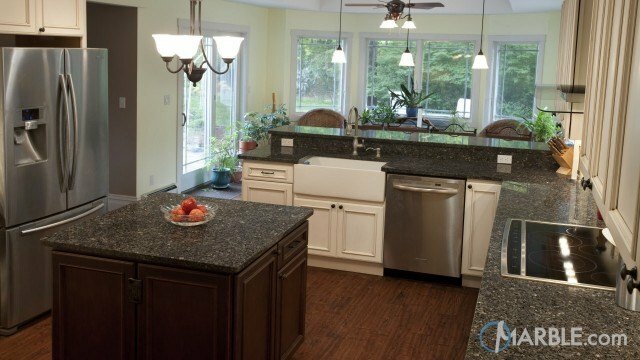 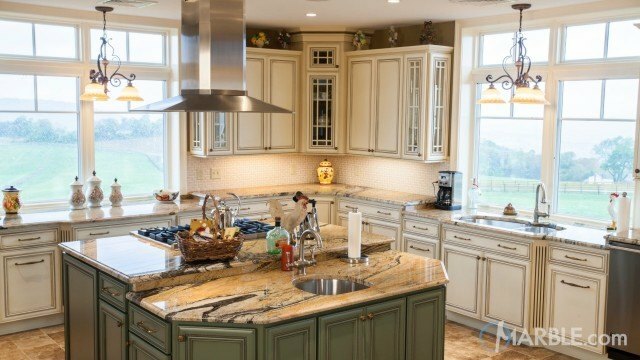 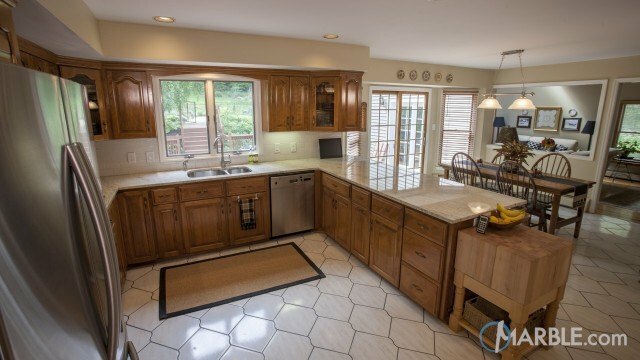 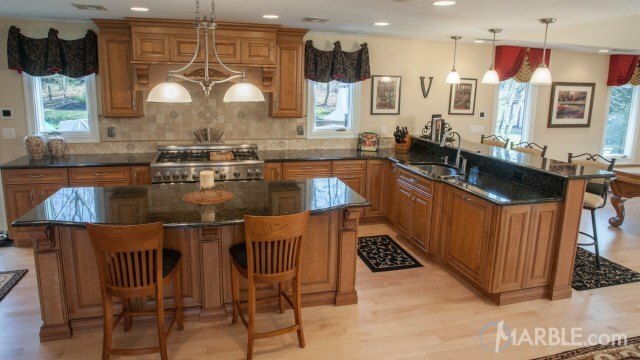 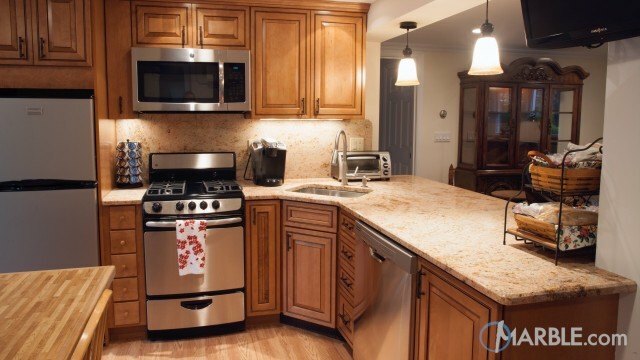 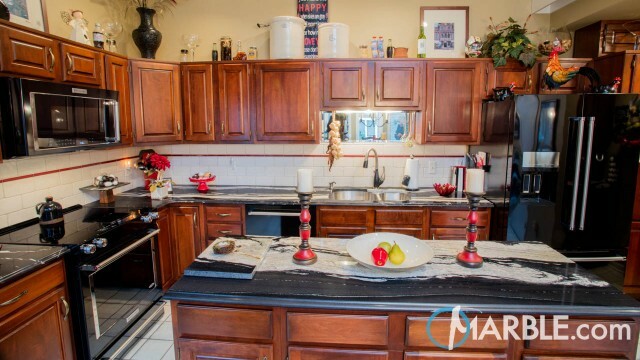 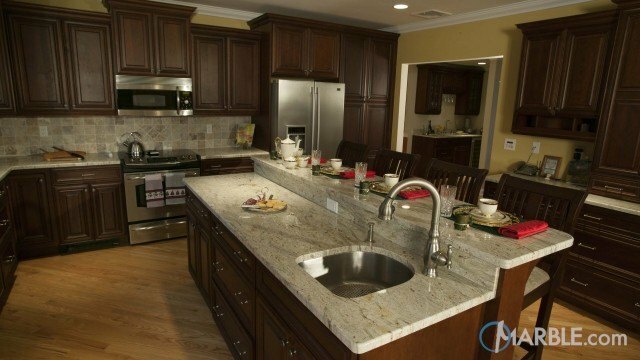 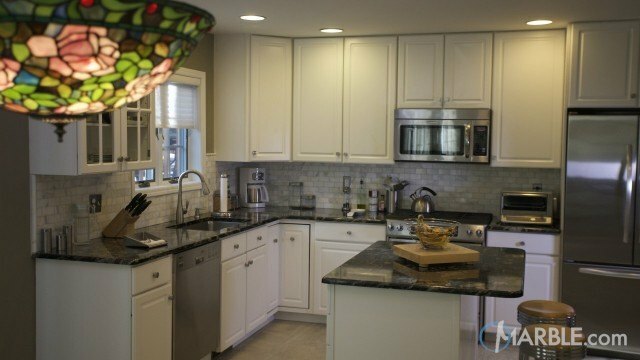 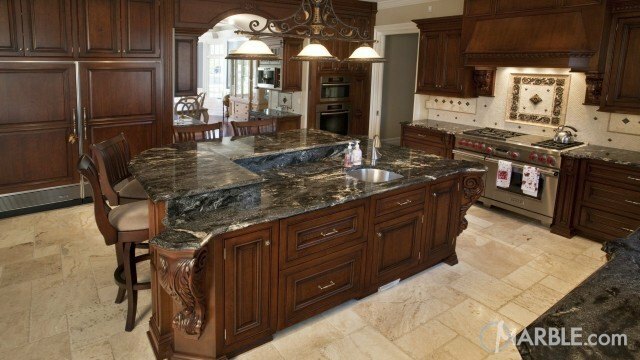 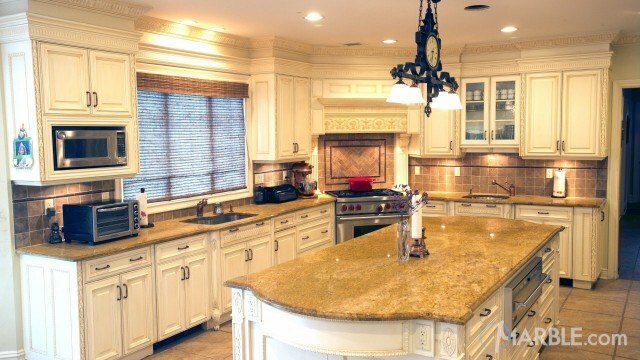 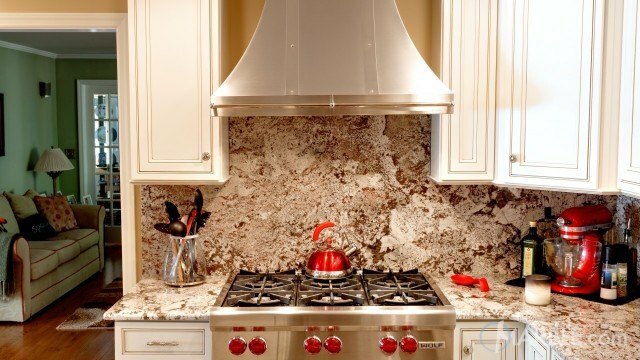 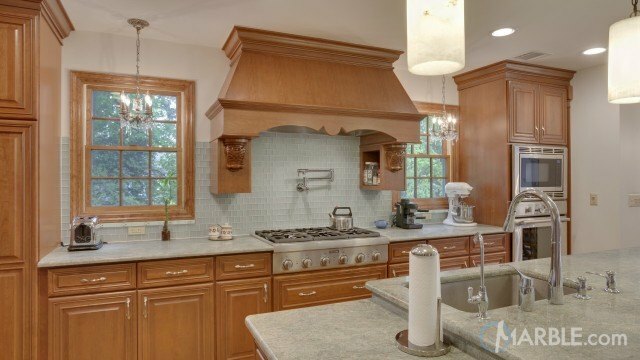 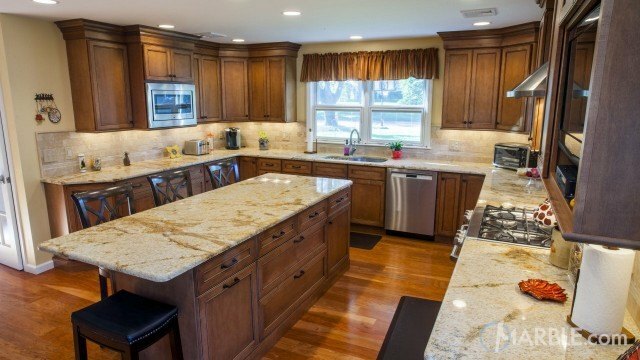 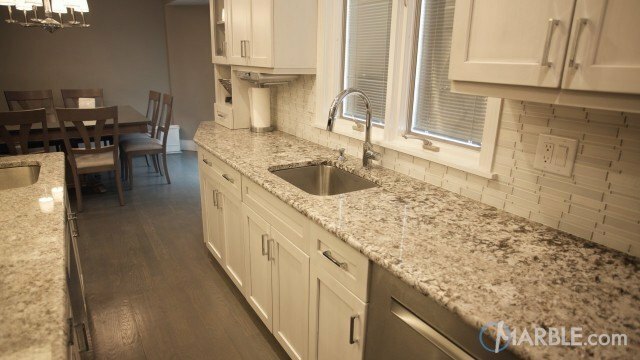 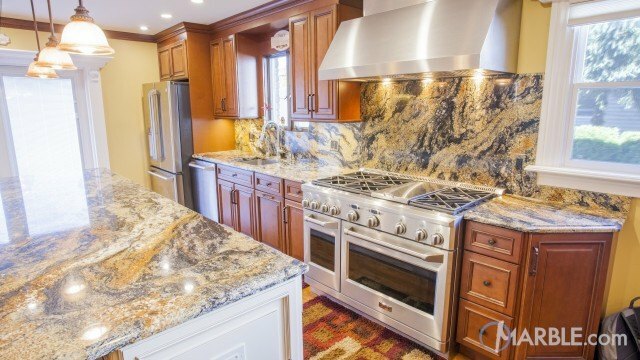 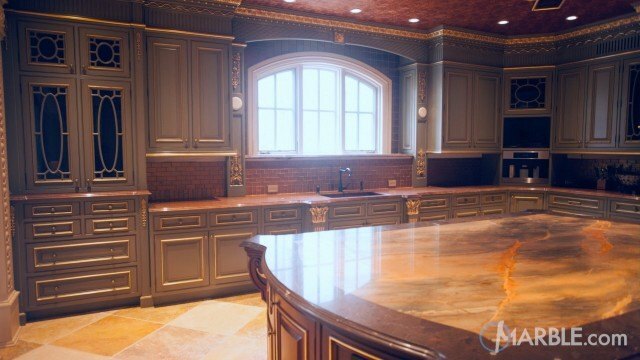 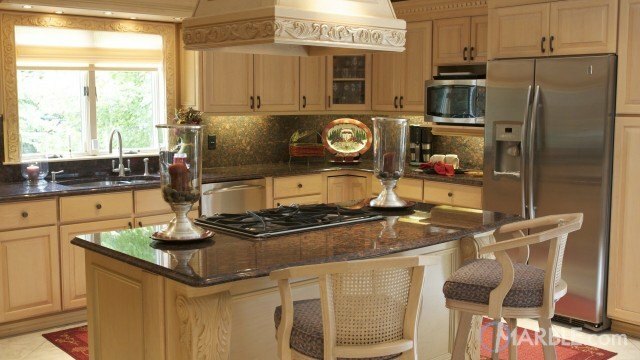 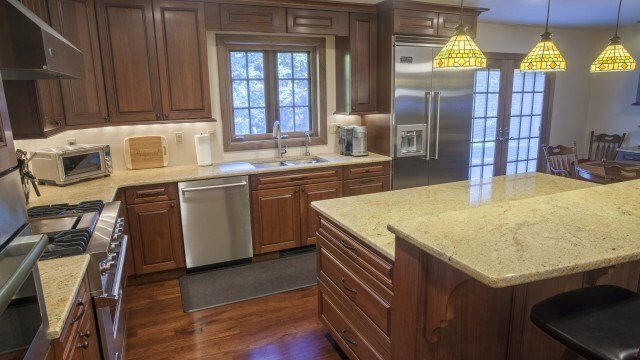 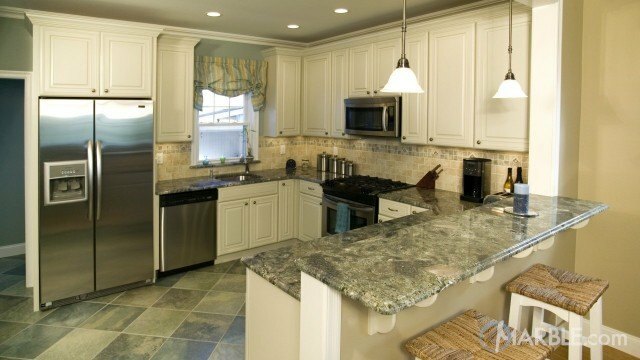 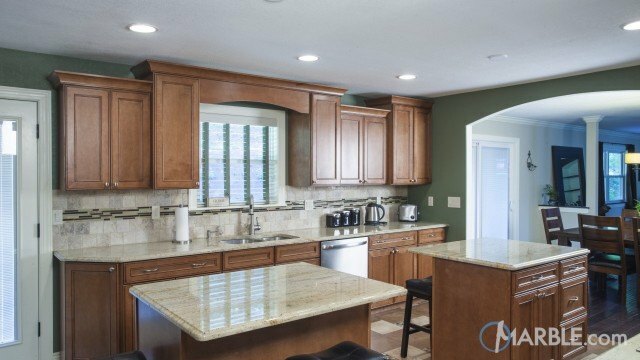 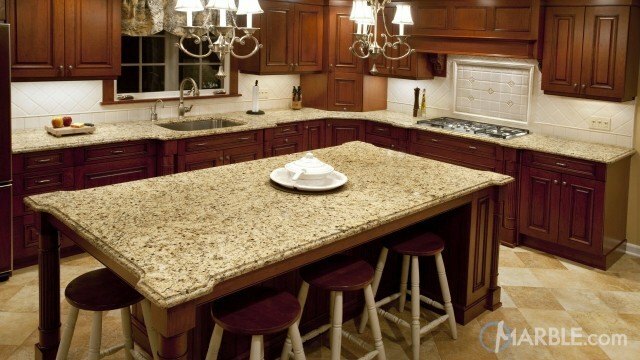 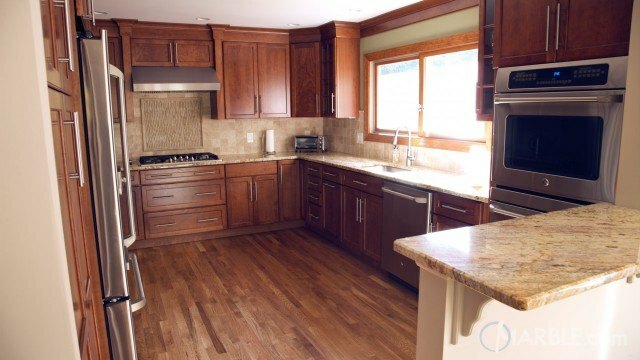 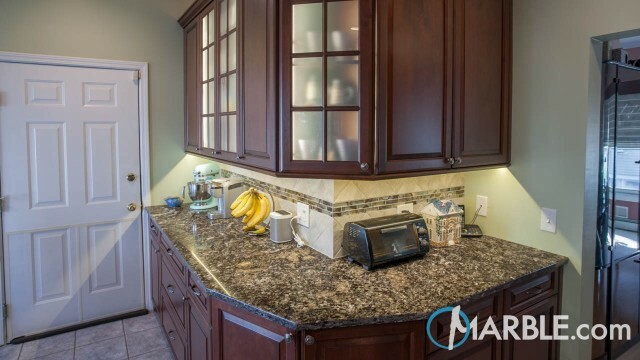 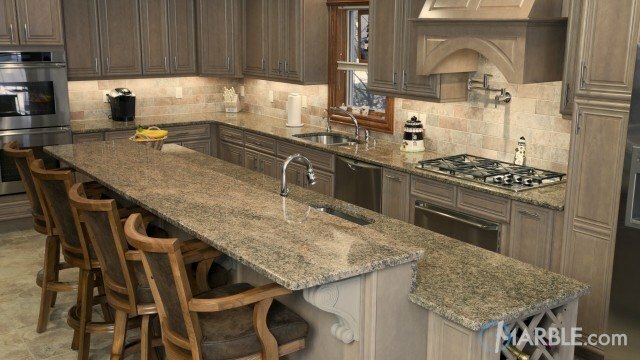 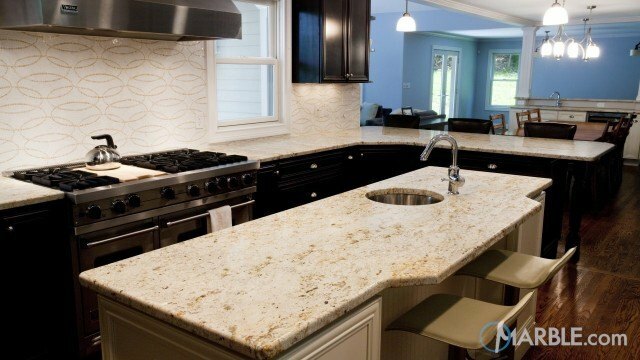 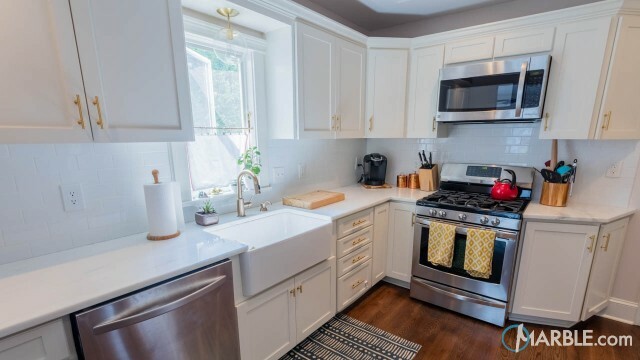 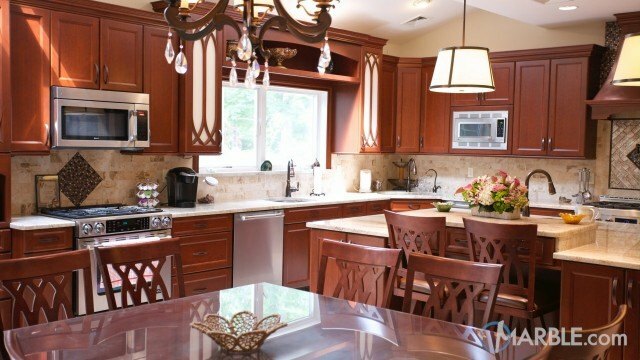 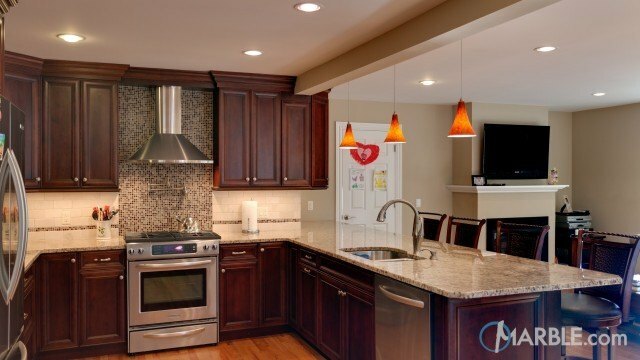 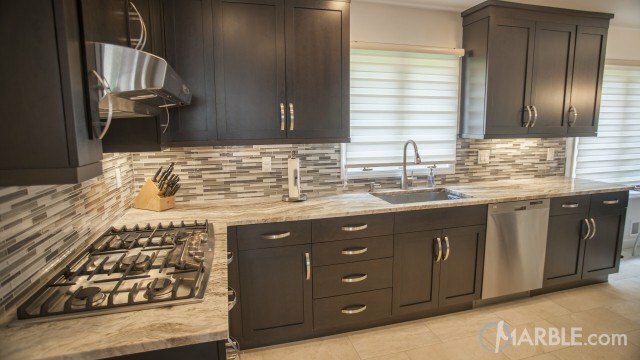 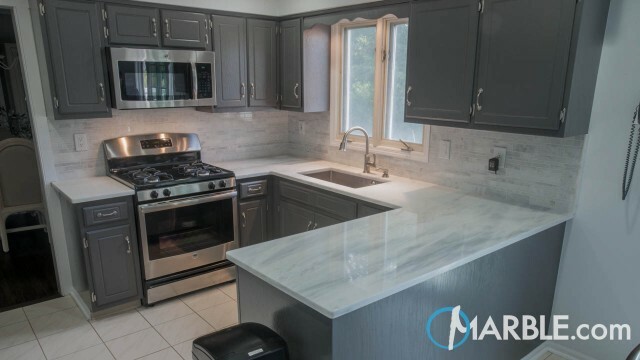 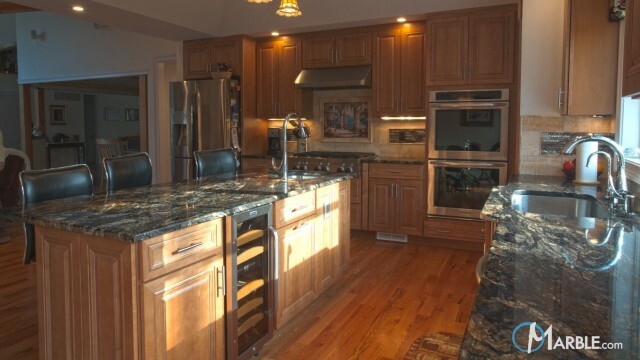 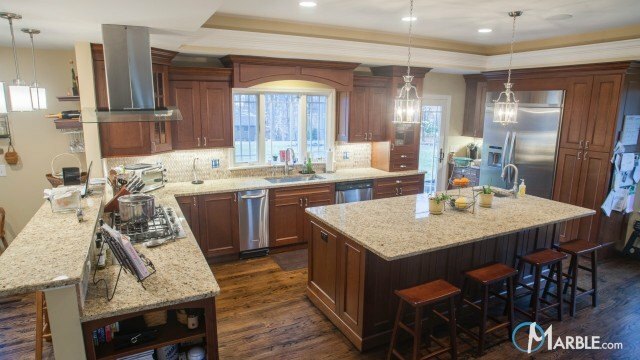 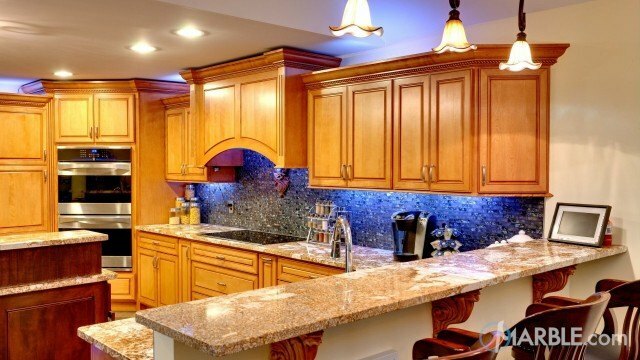 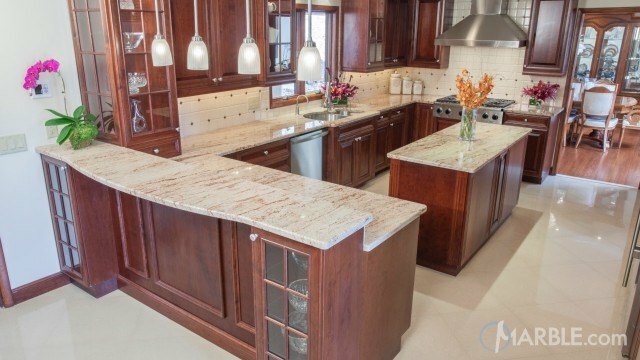 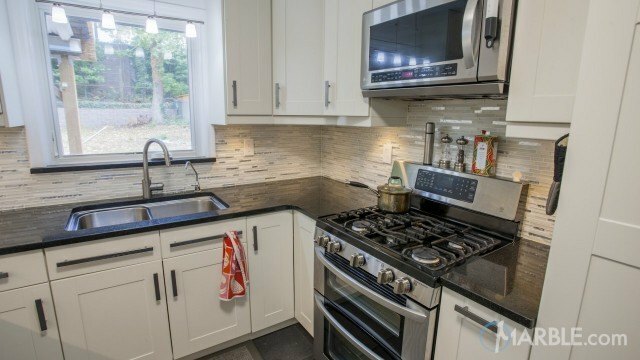 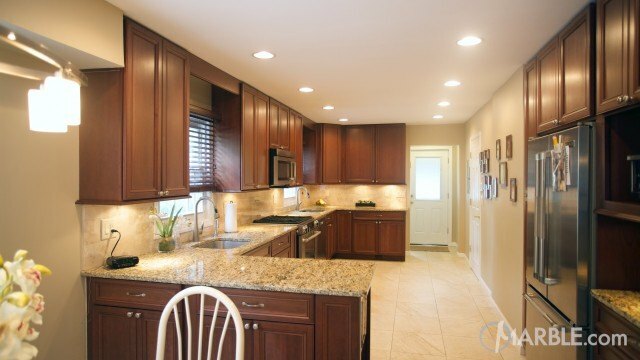 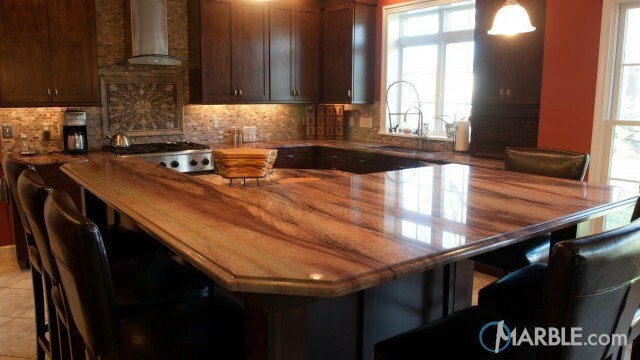 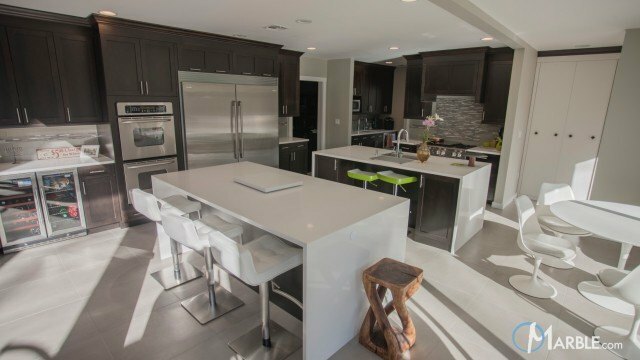 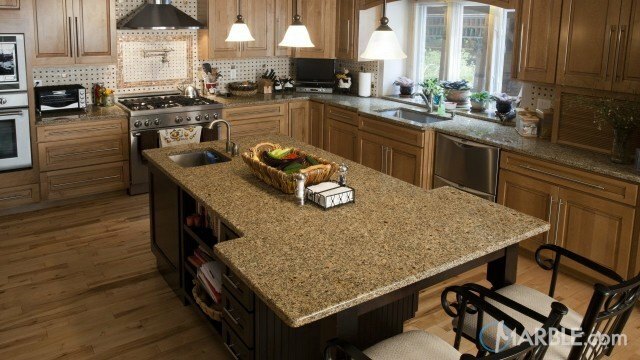 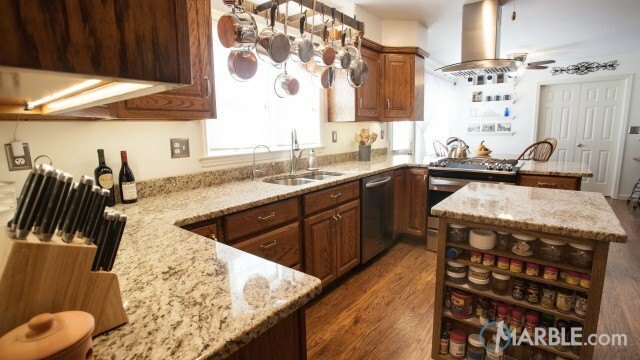 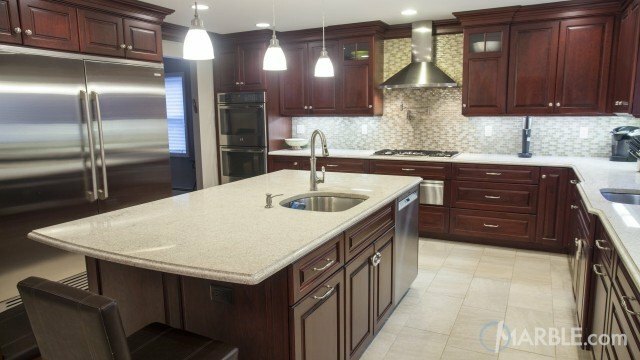 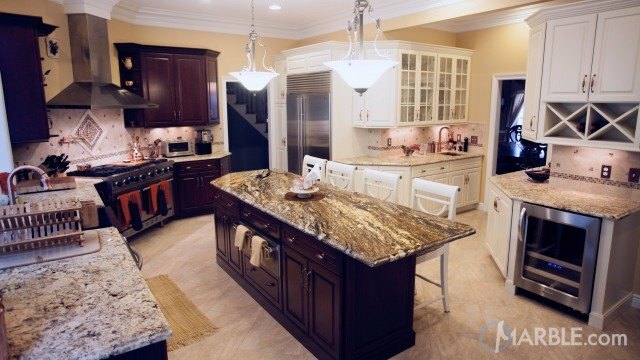 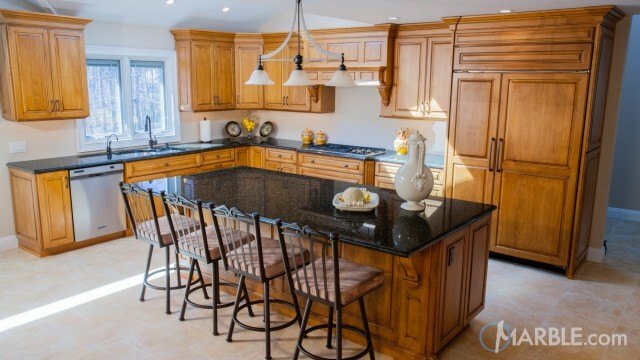 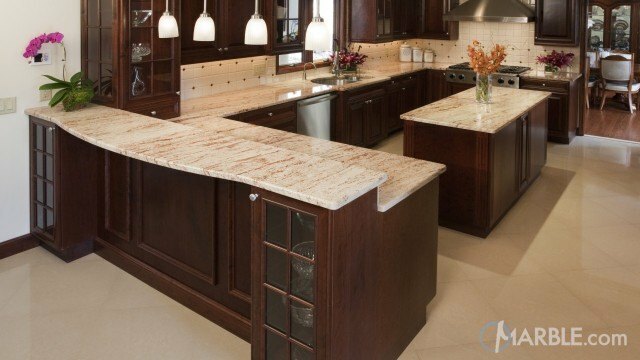 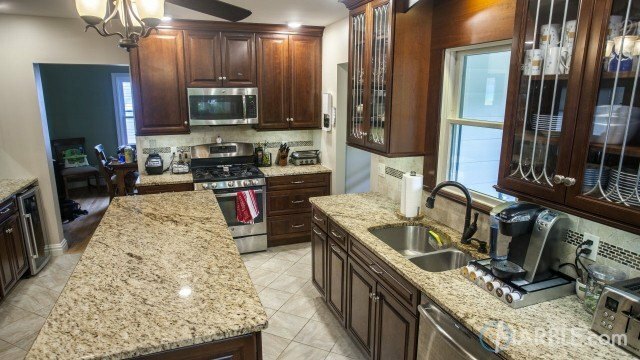 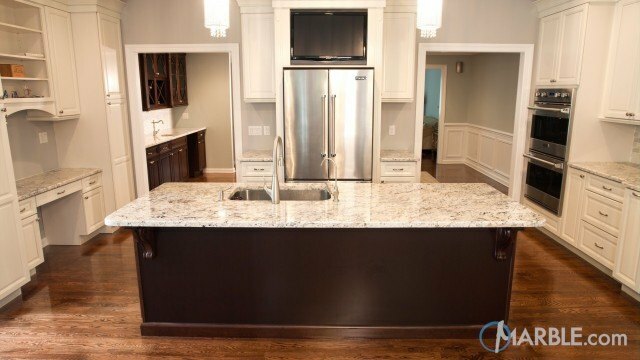 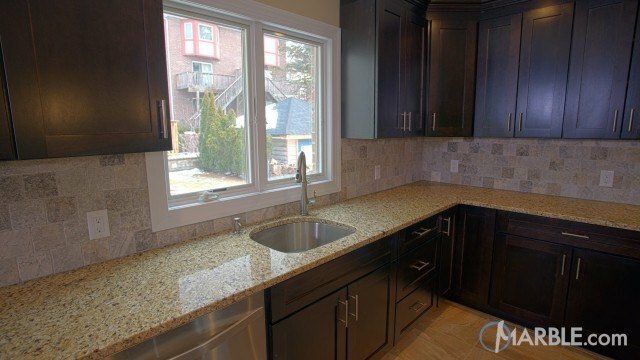 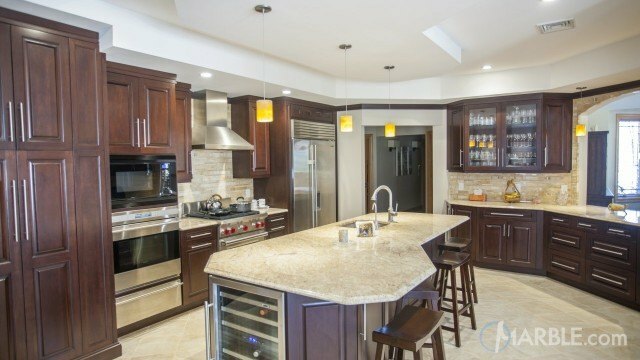 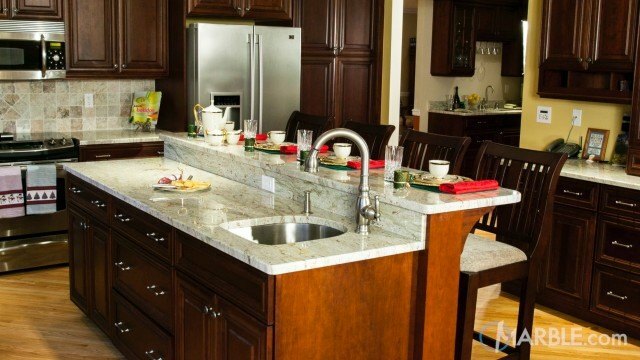 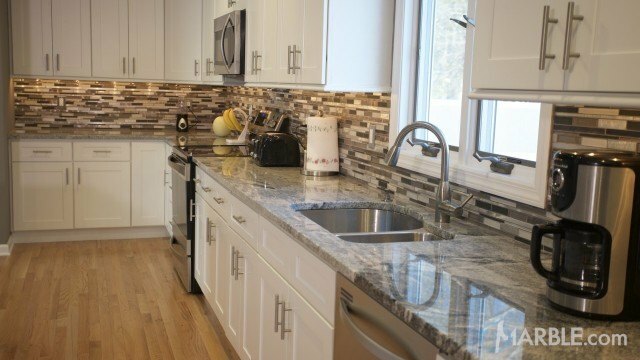 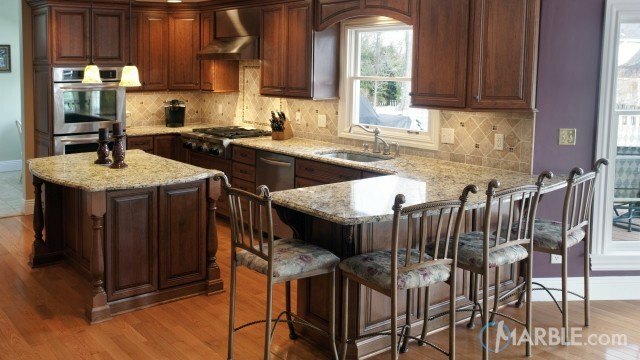 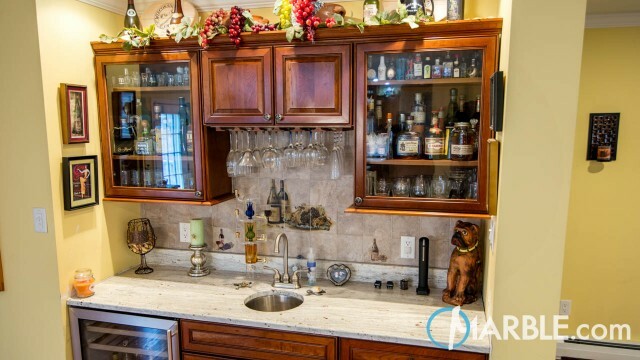 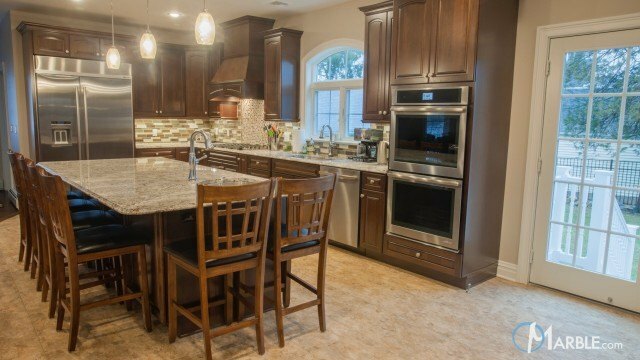 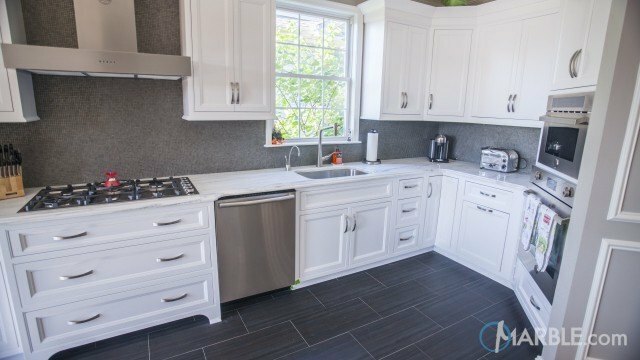 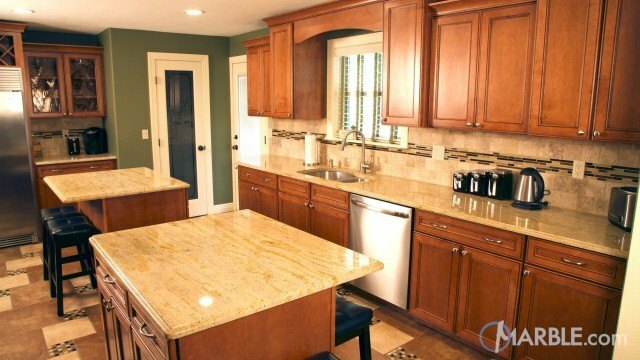 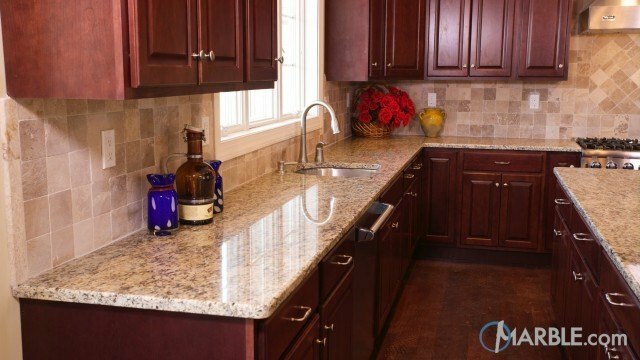 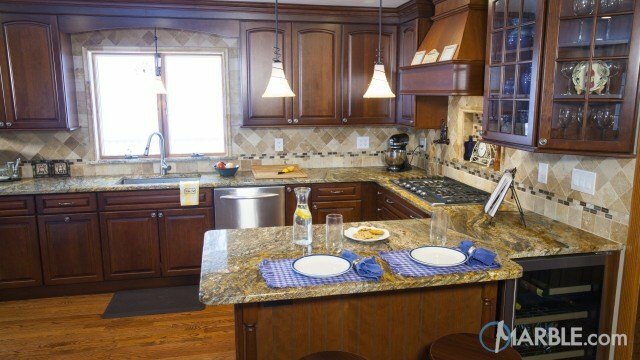 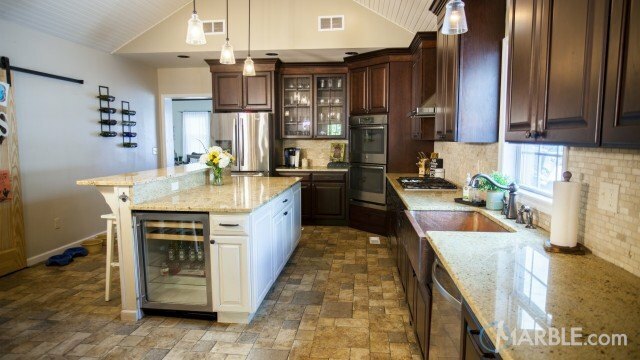 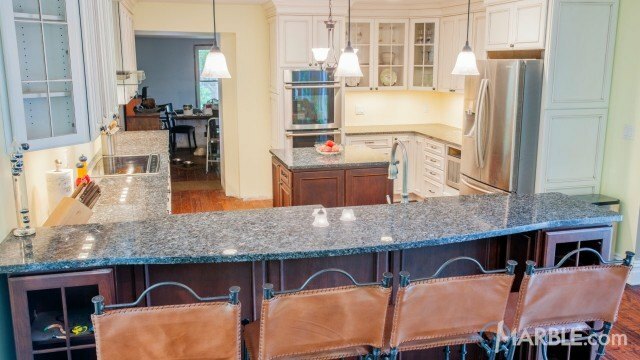 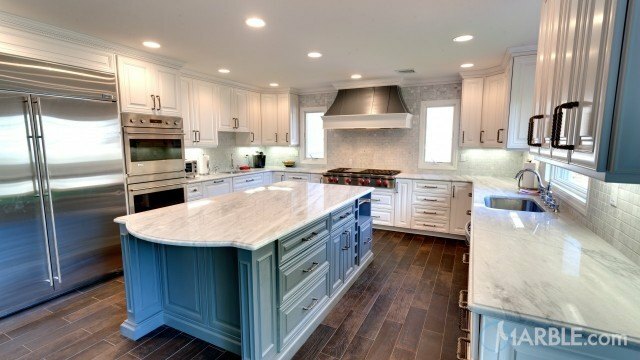 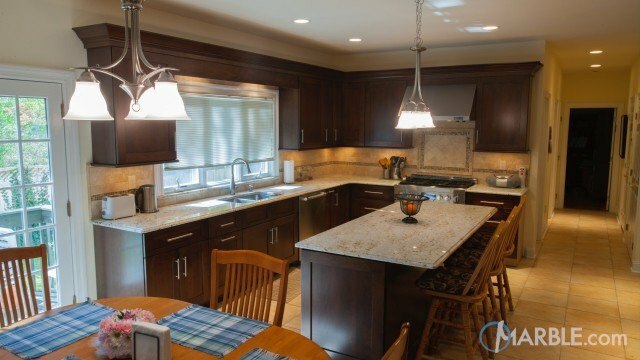 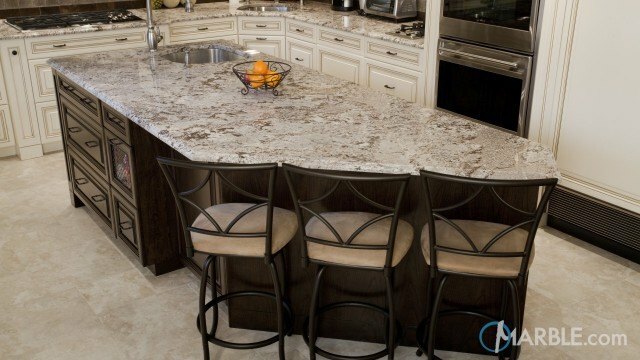 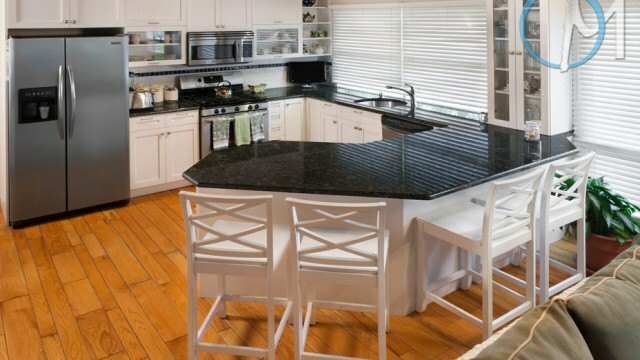 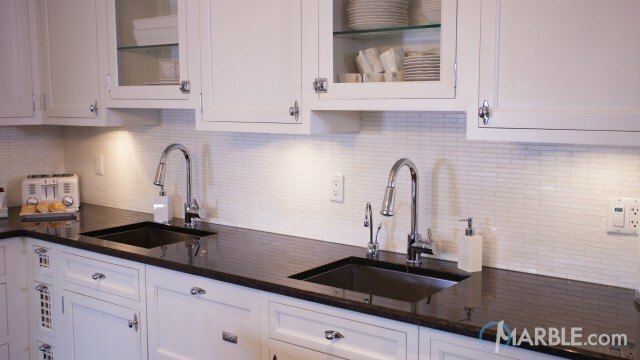 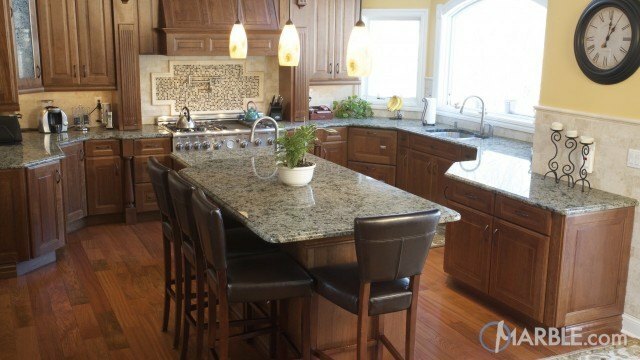 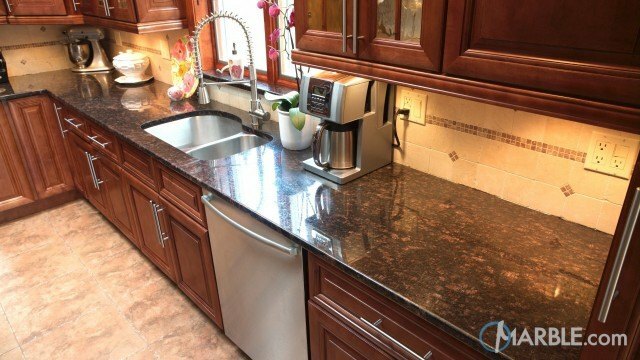 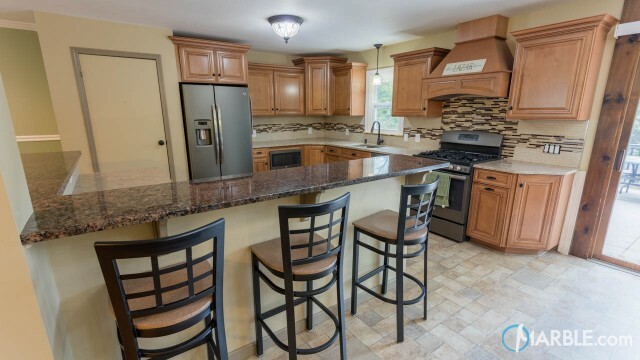 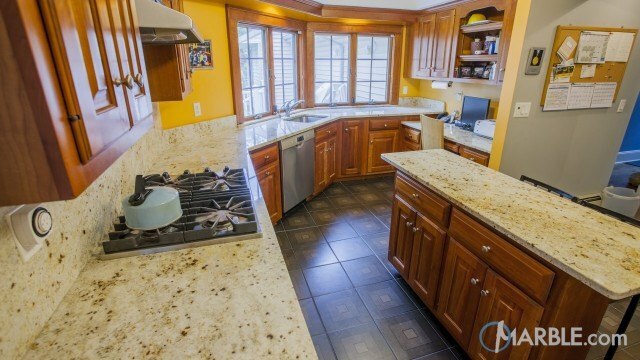 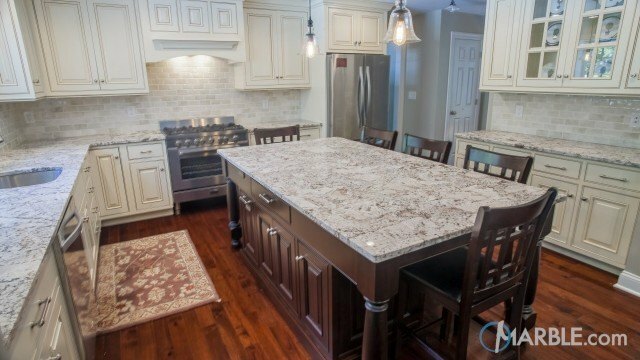 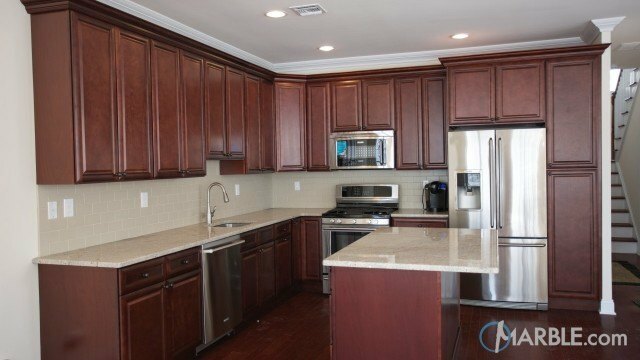 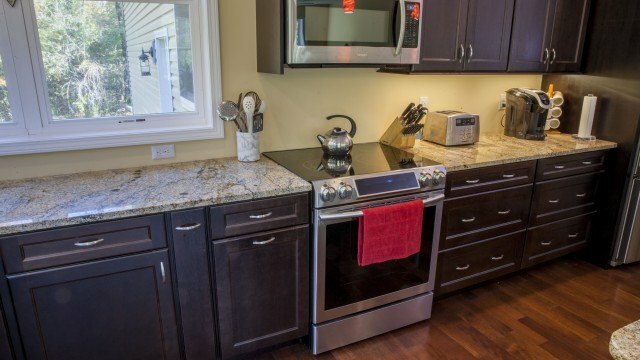 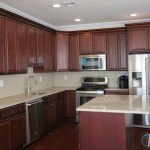 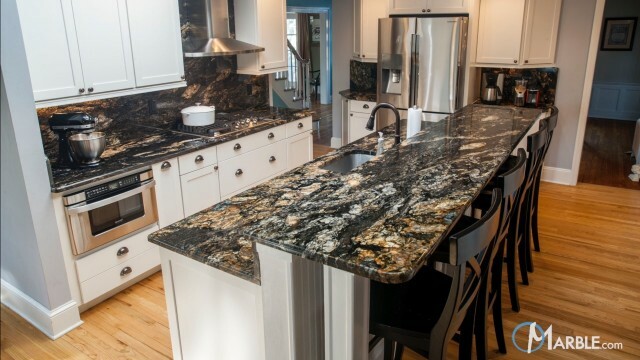 Dark brown cabinets are accompanied by Ivory Brown granite counter tops. 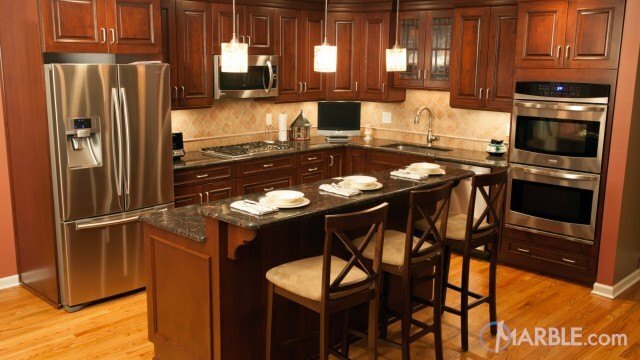 The stainless steel appliances and dark wood floor play off the color combinations in this kitchen. 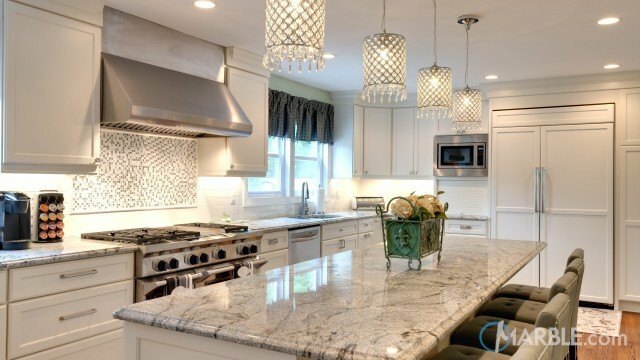 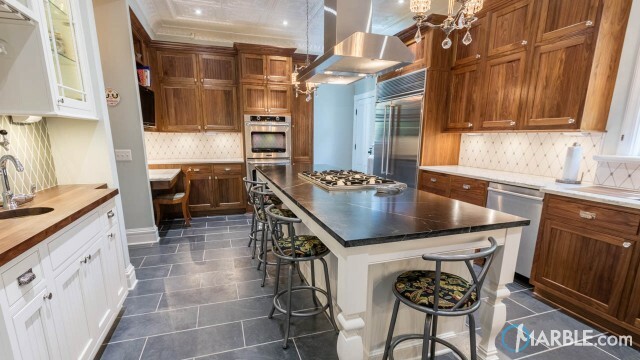 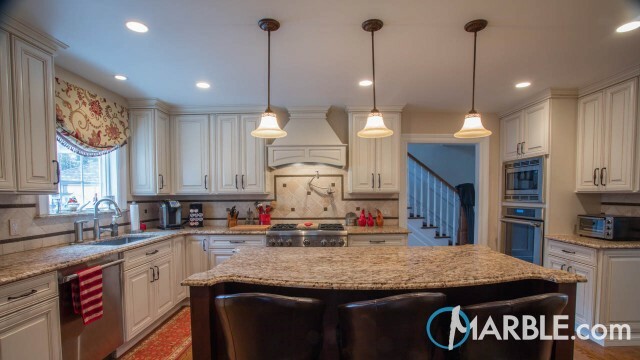 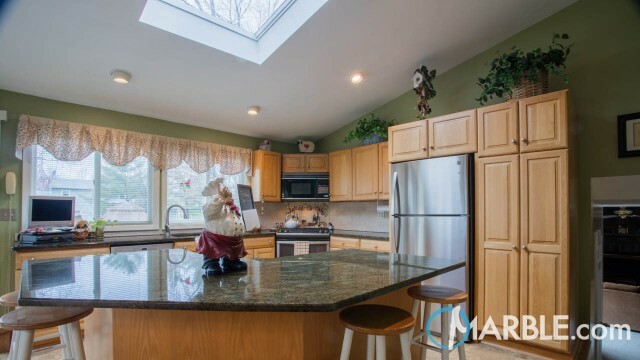 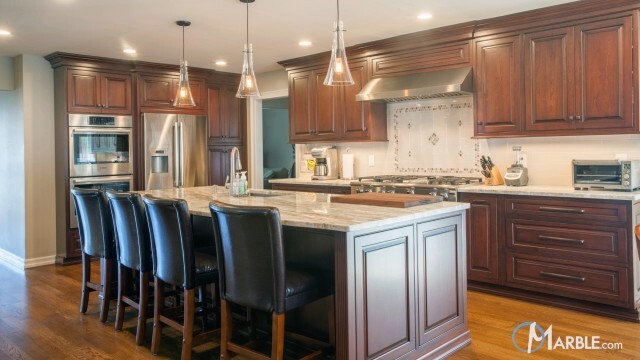 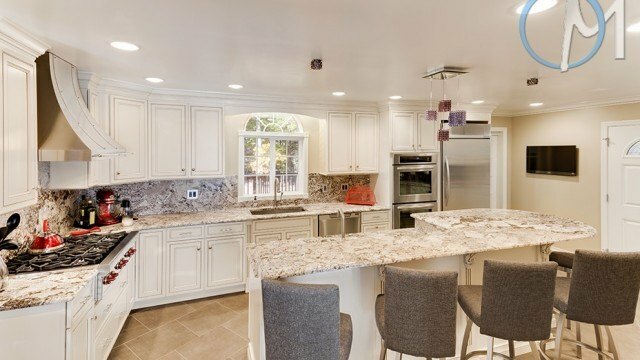 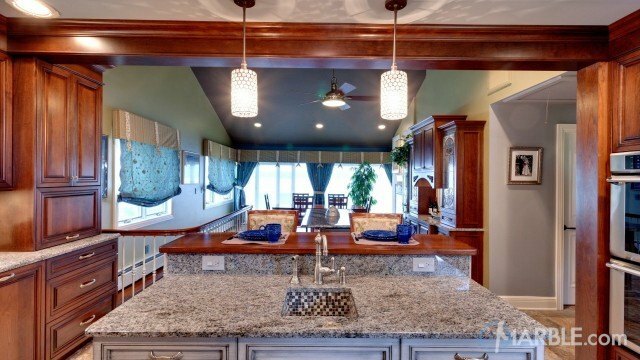 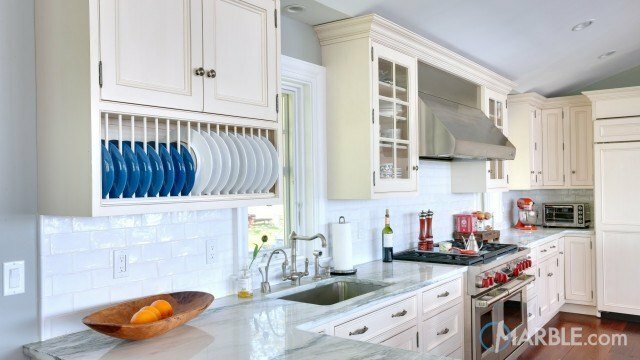 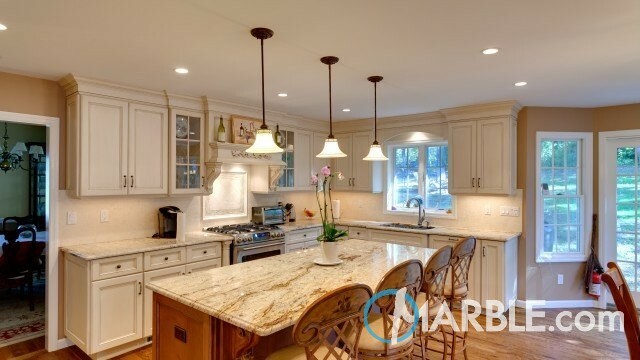 Recessed lighting gives plenty of light for cooking and food preparation. 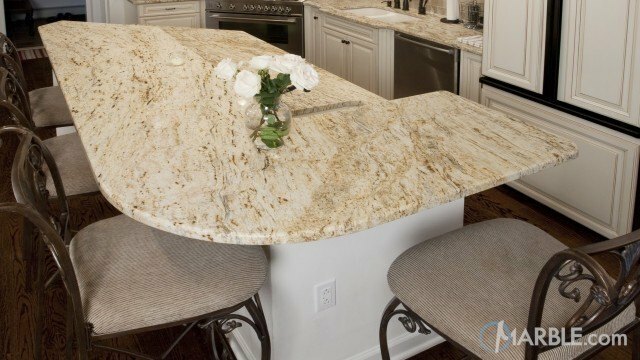 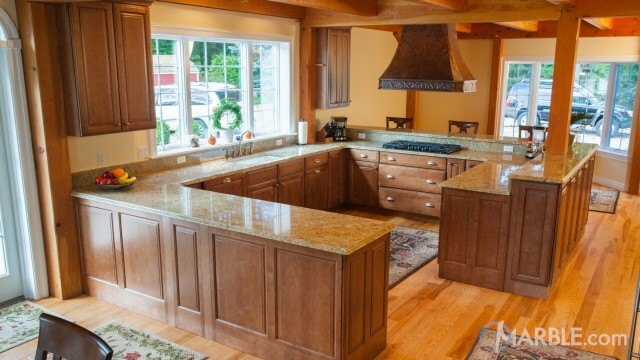 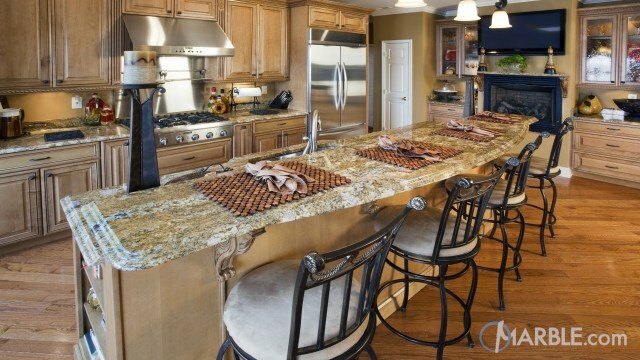 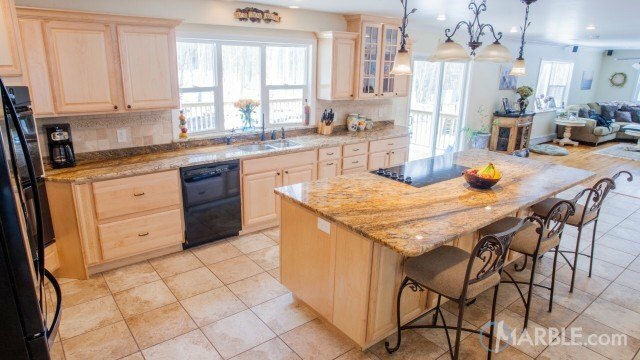 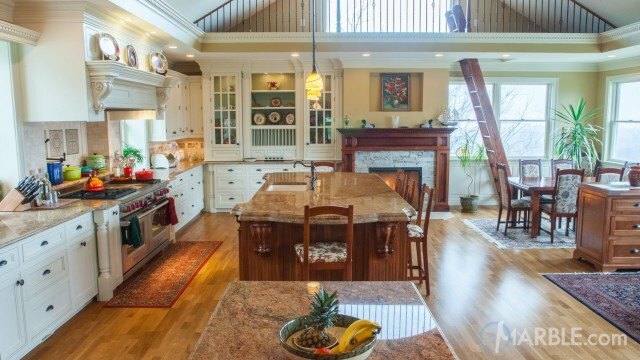 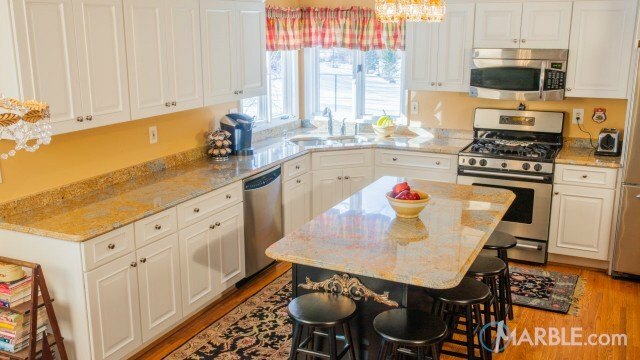 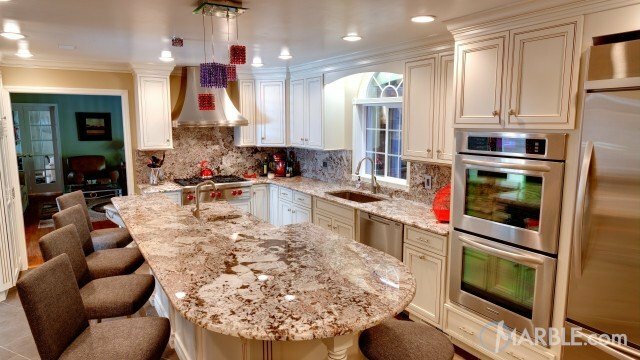 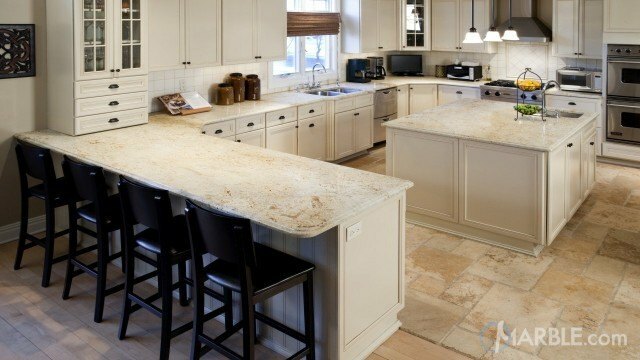 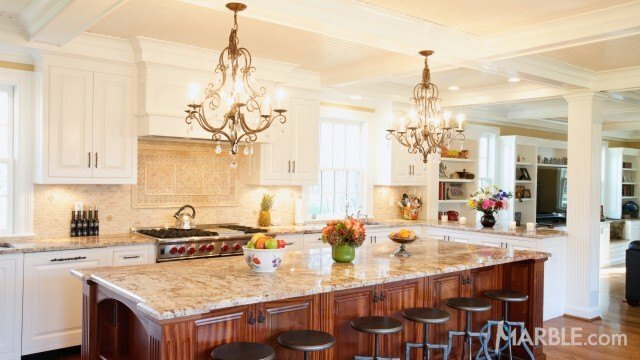 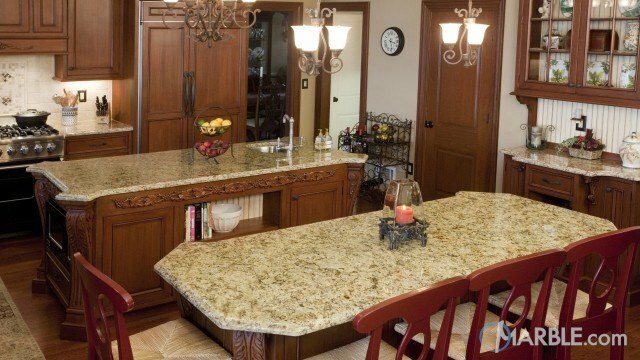 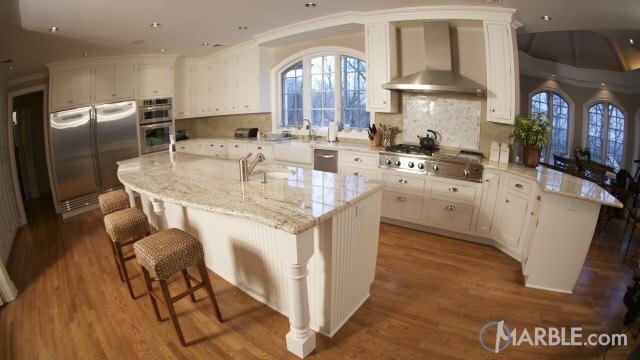 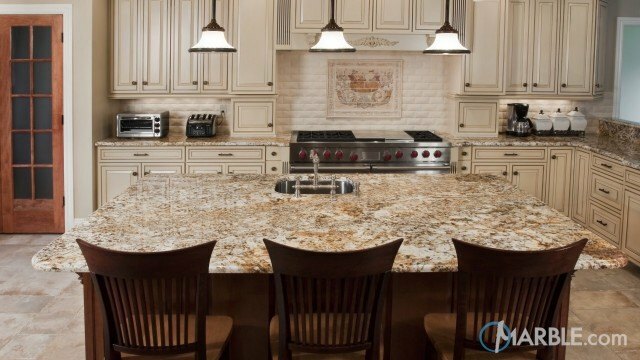 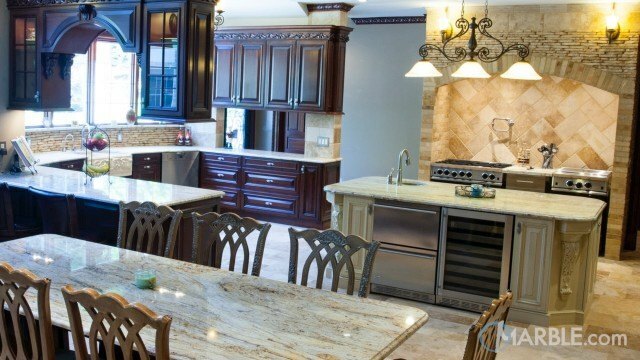 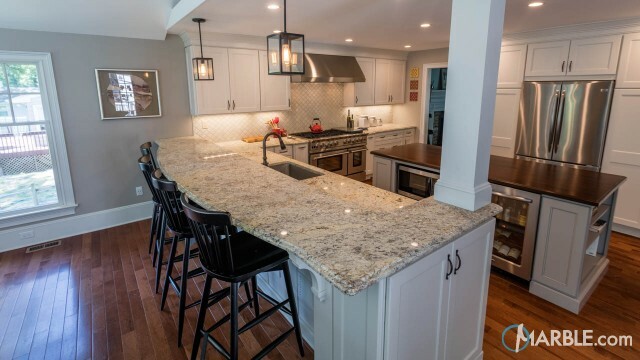 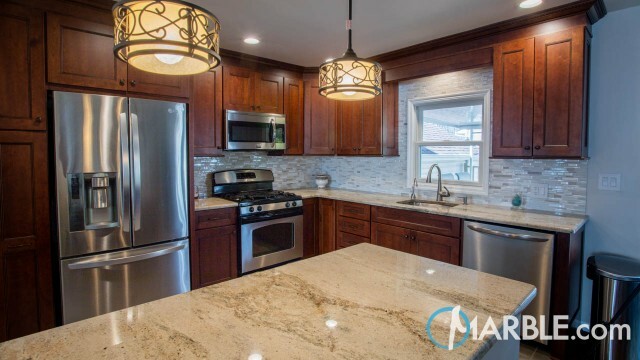 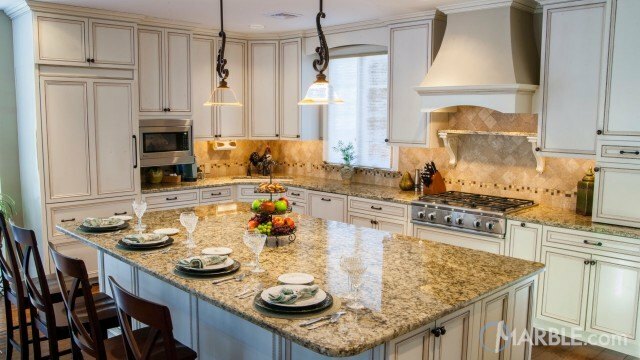 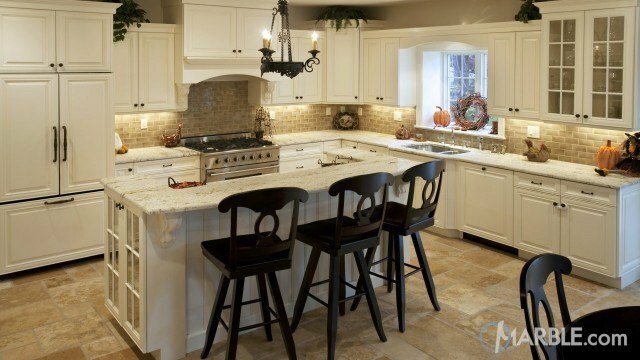 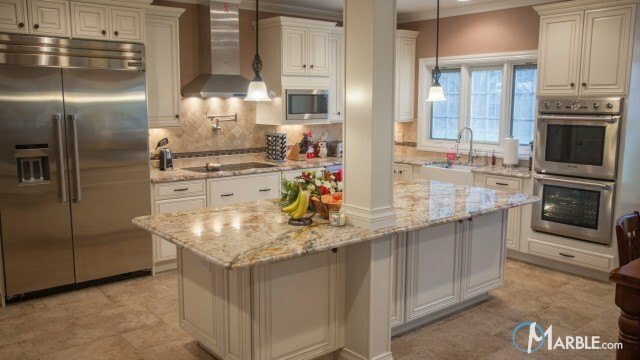 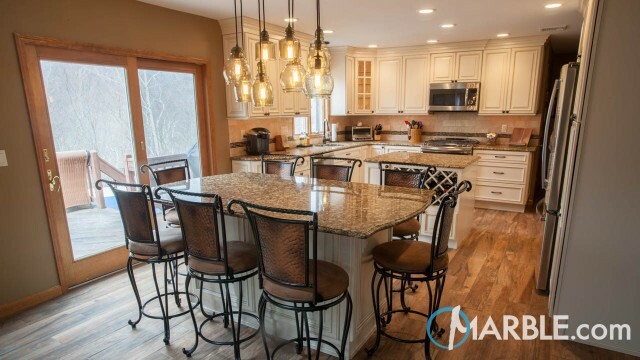 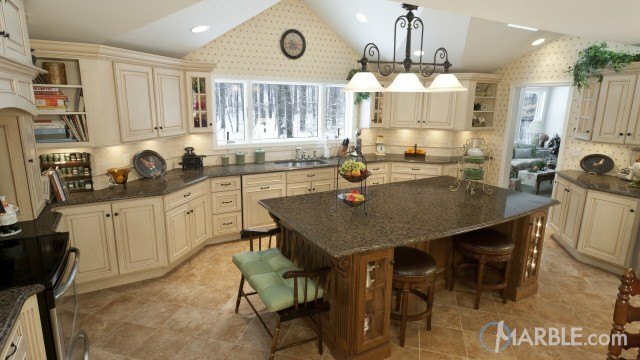 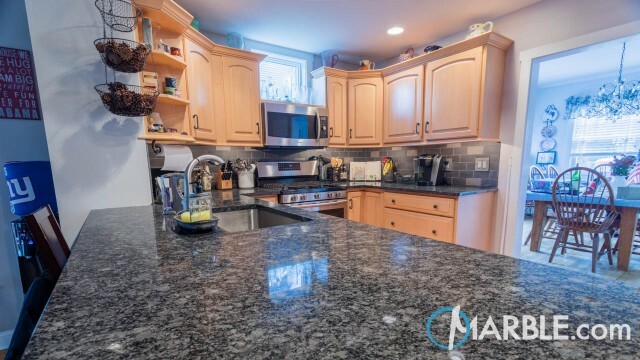 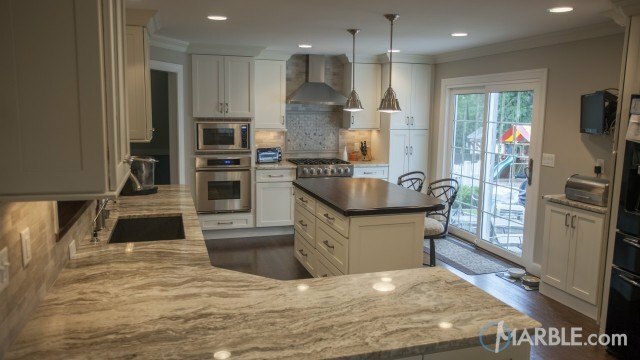 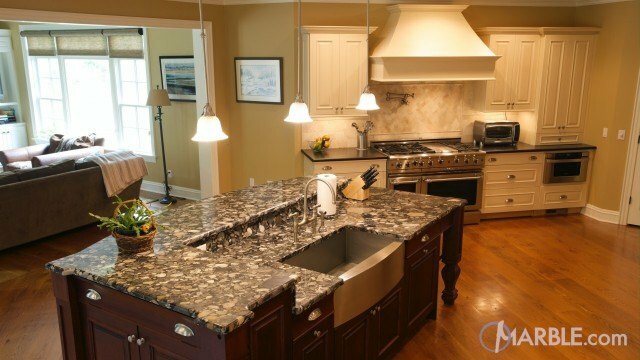 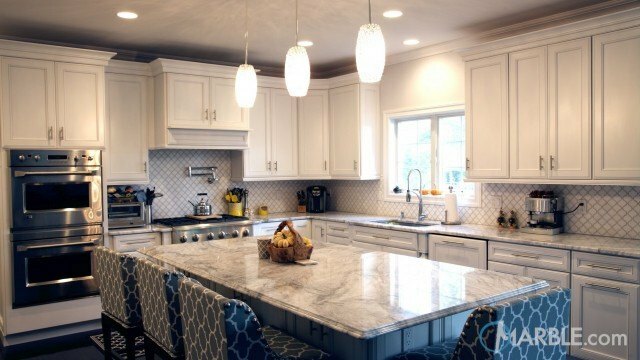 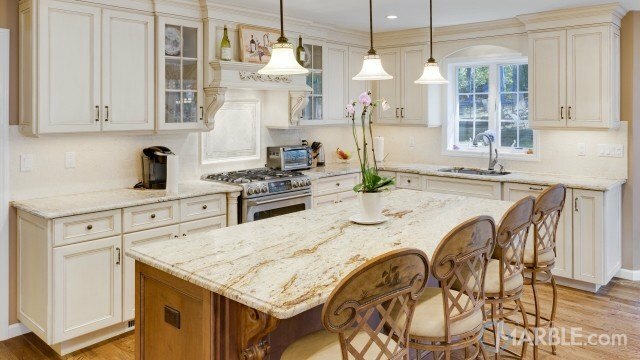 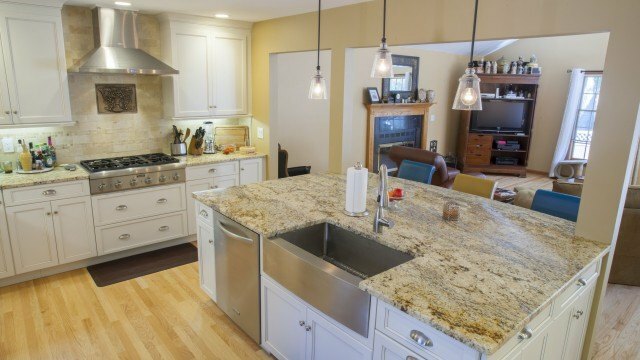 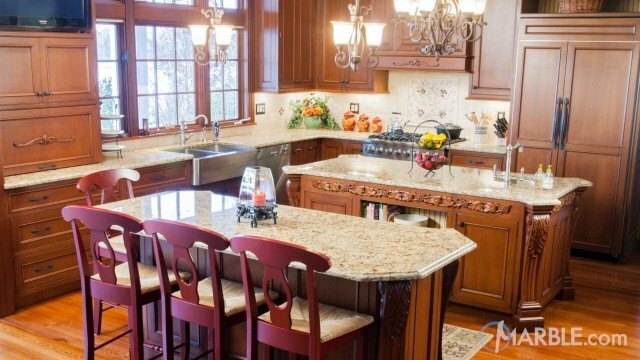 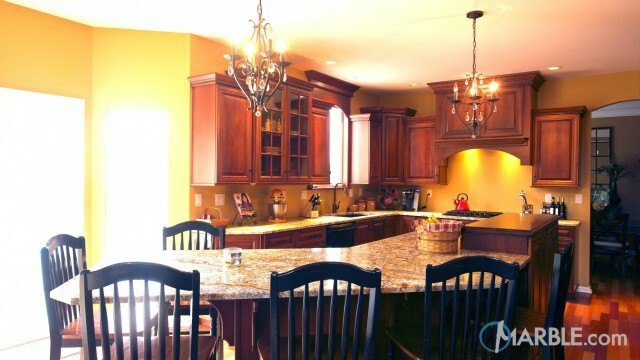 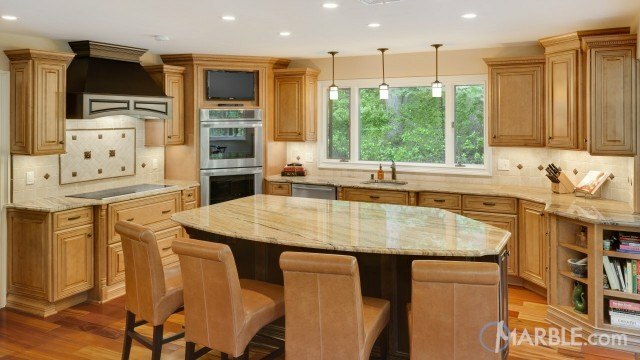 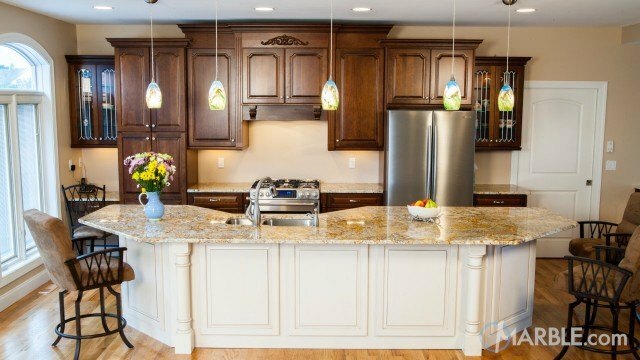 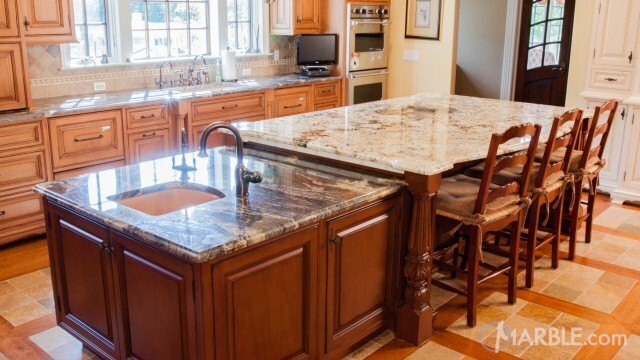 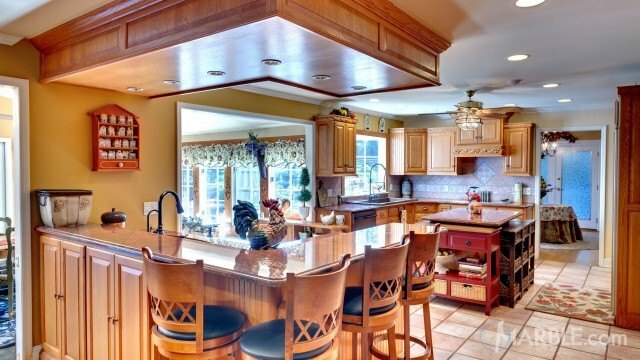 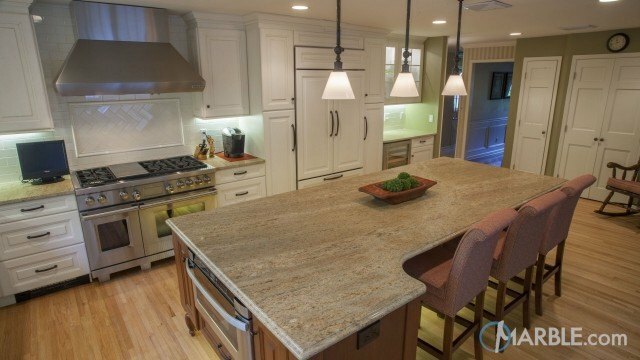 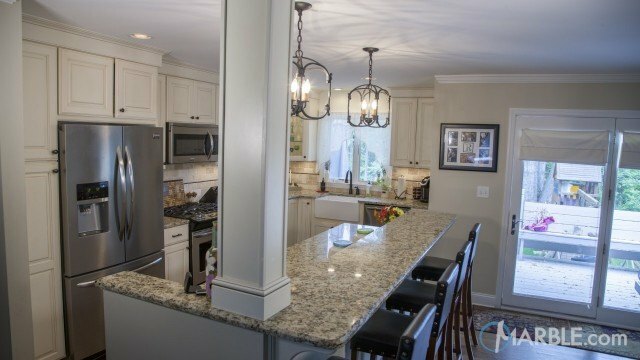 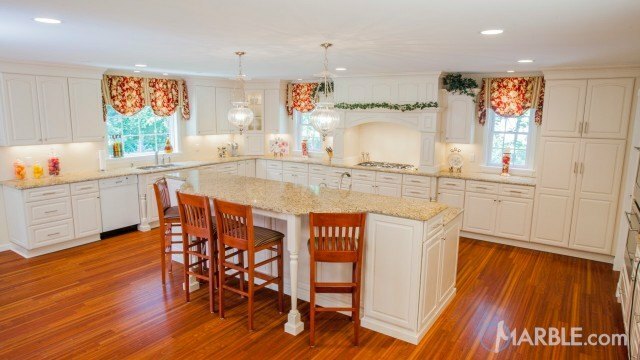 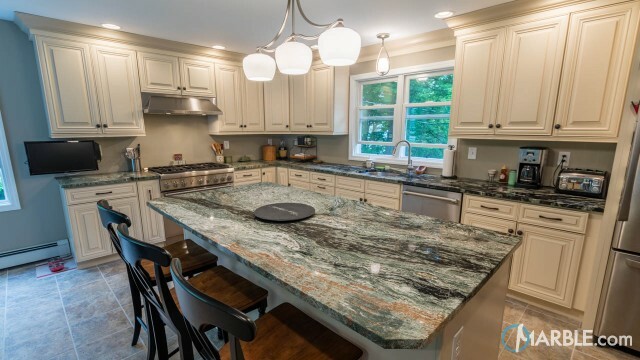 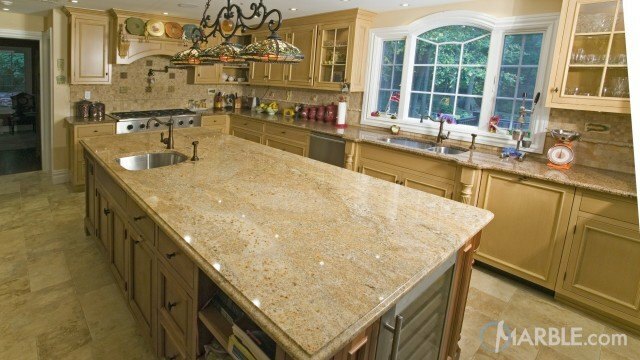 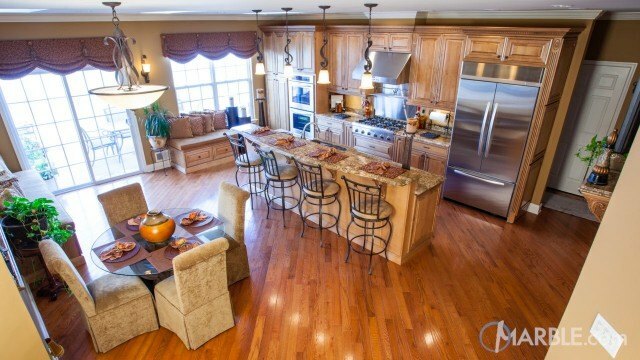 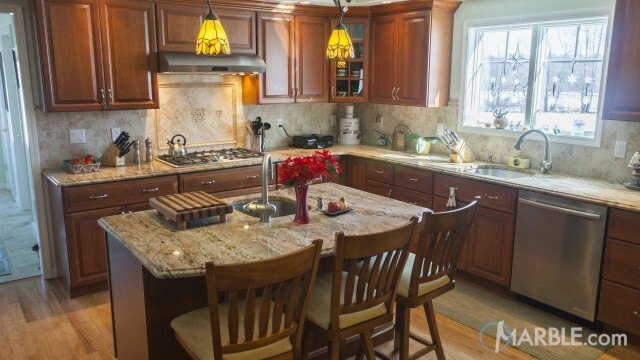 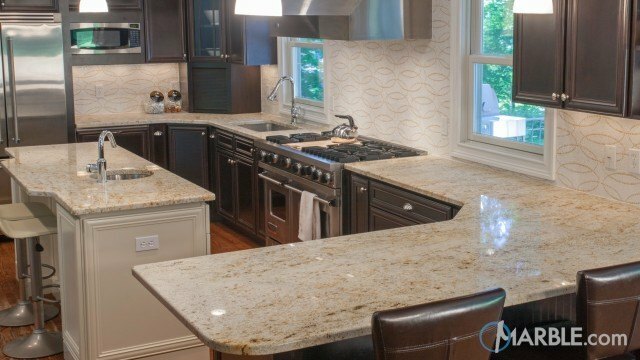 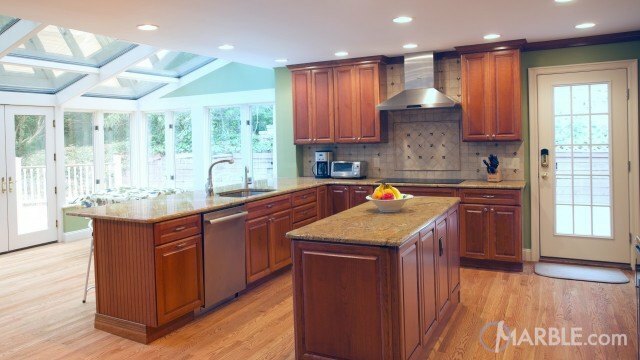 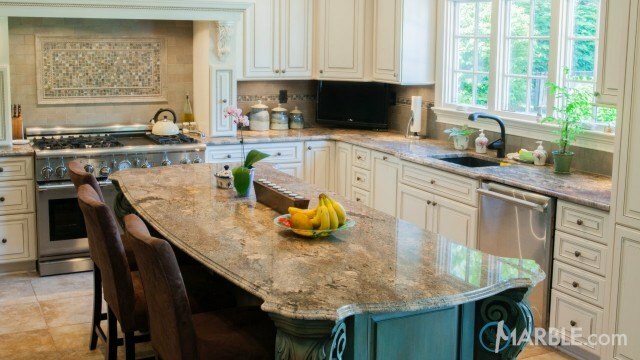 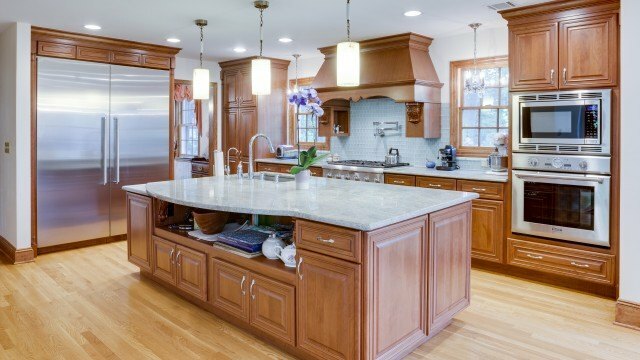 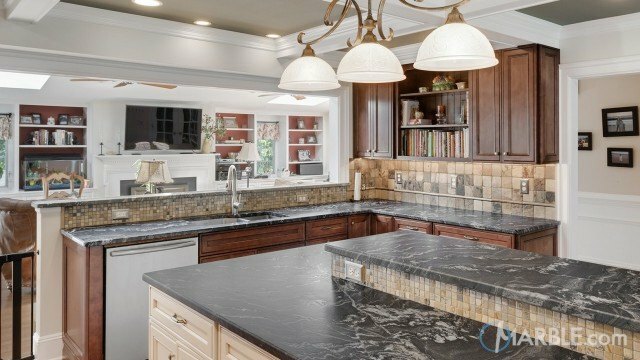 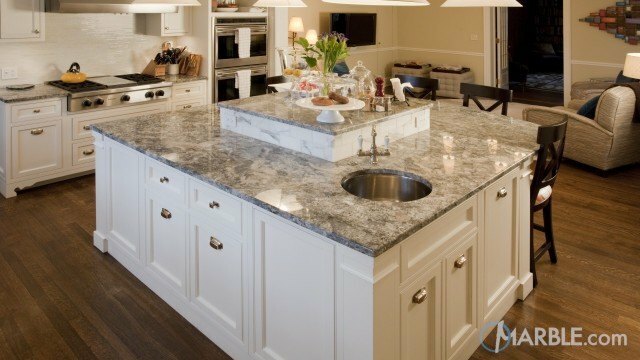 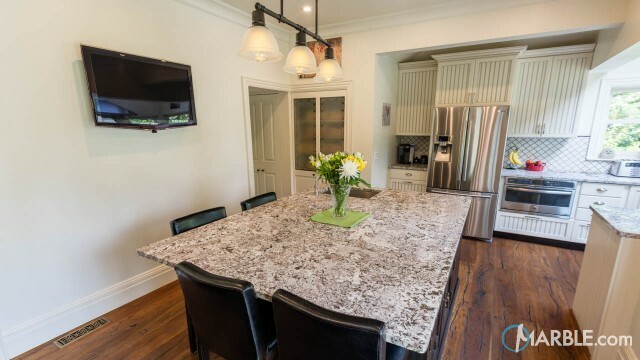 The Ivory Brown granite counters are the perfect focal point for this kitchen. 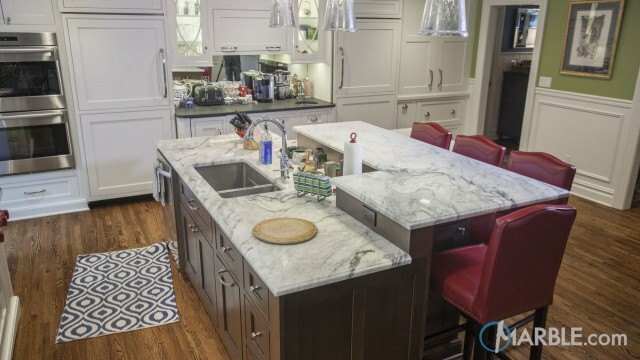 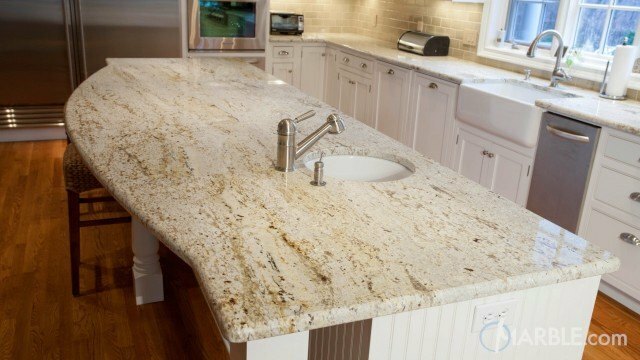 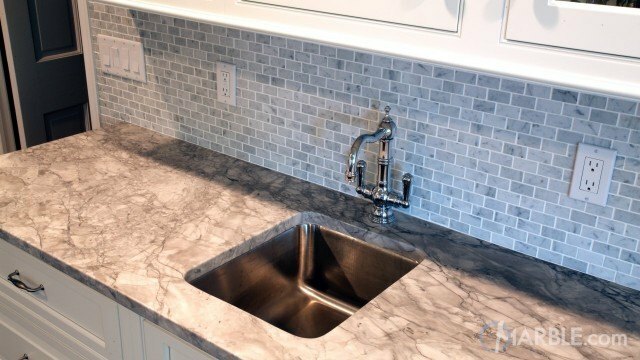 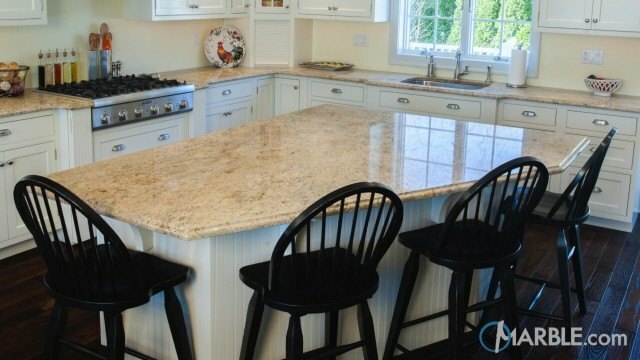 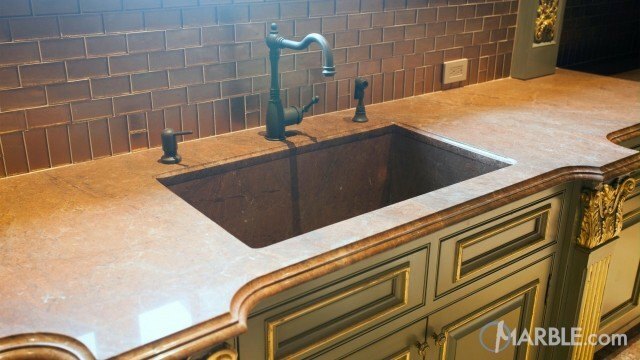 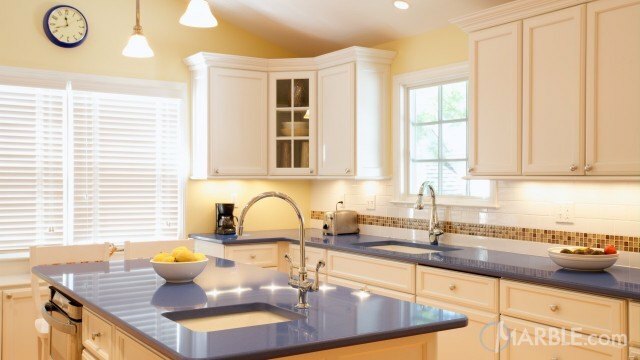 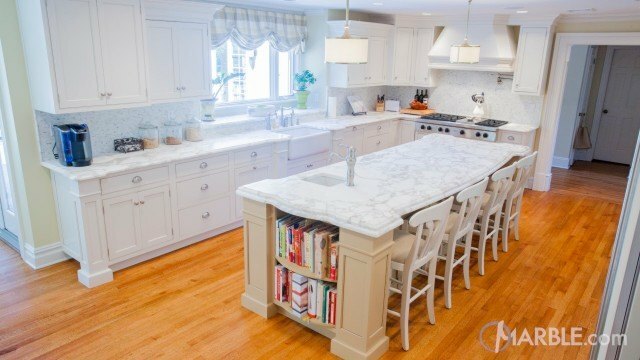 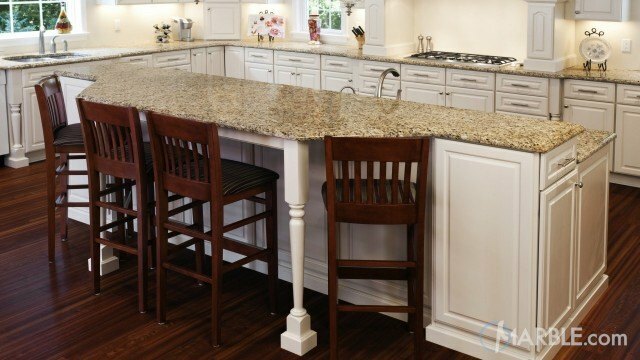 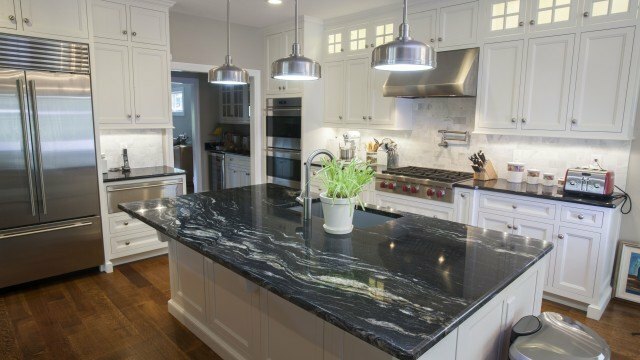 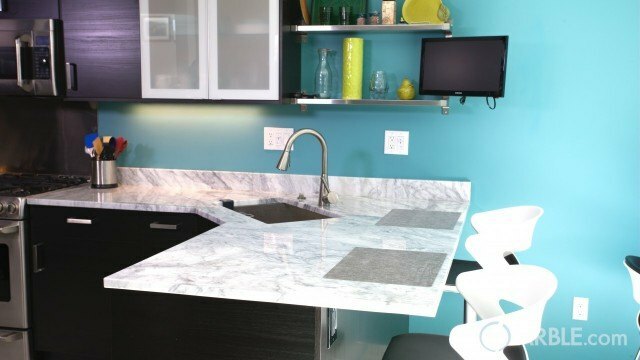 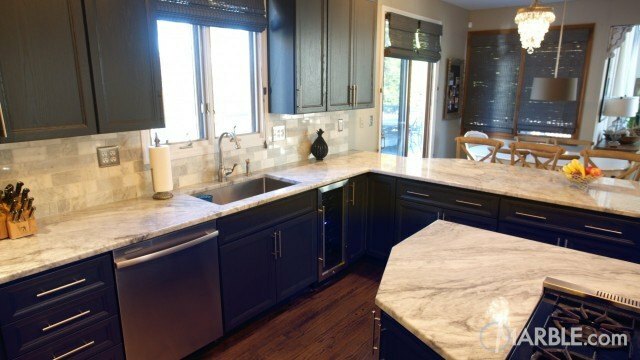 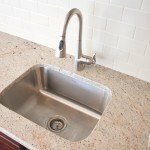 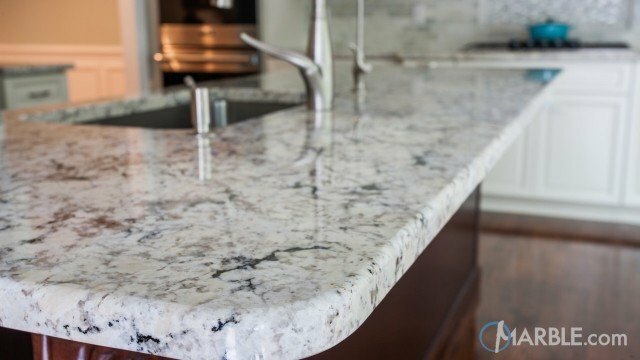 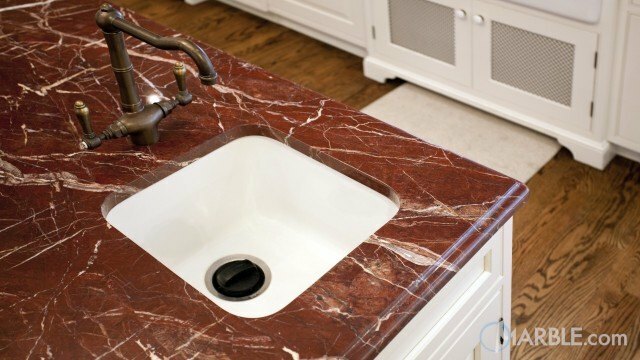 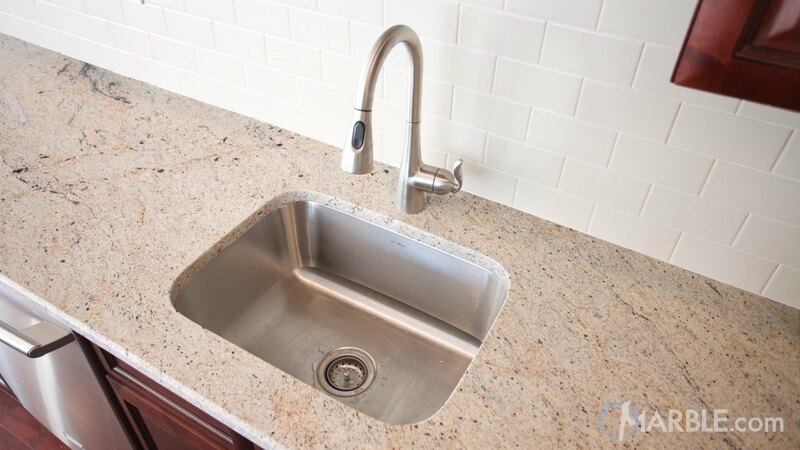 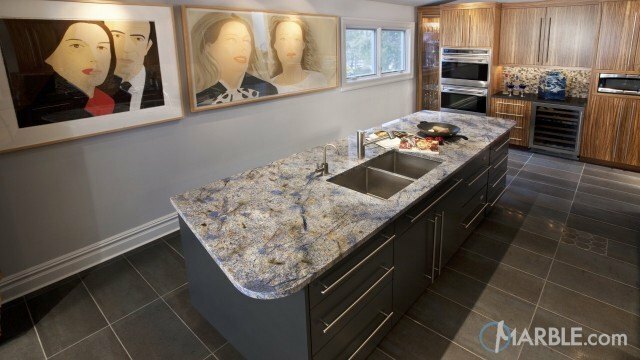 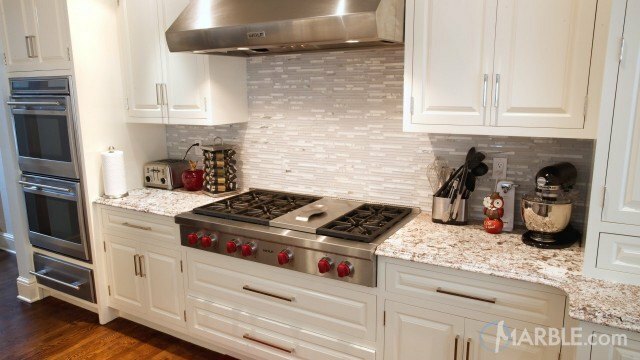 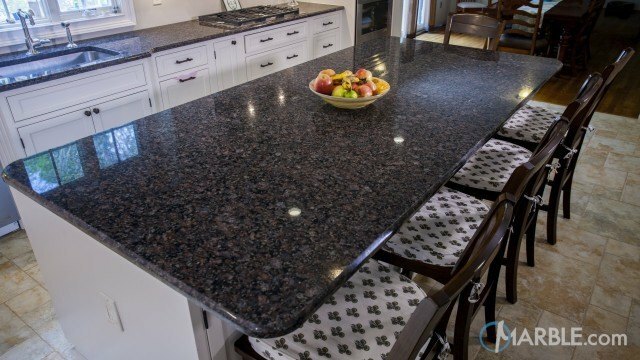 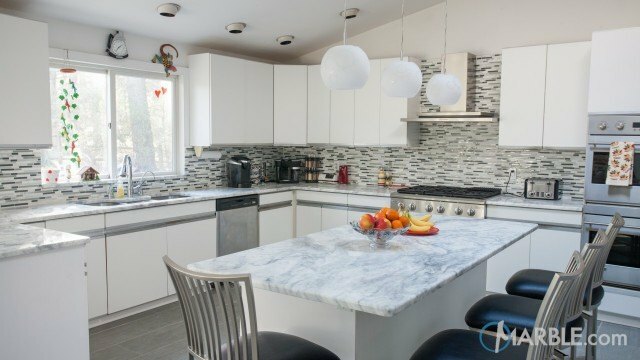 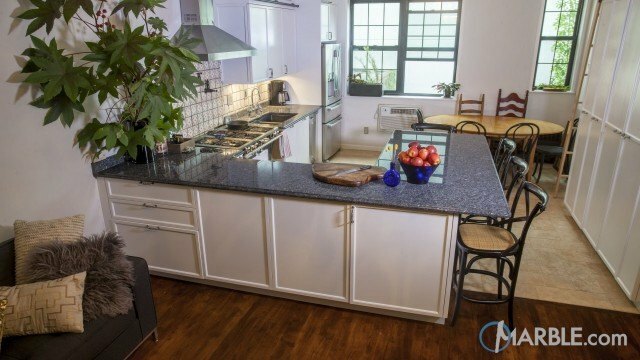 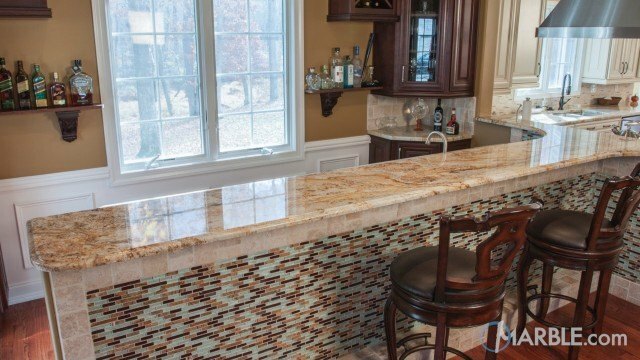 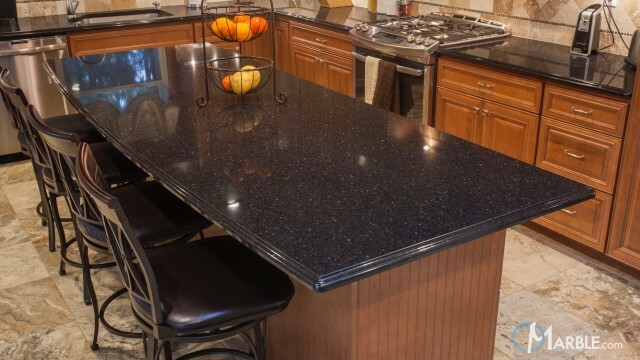 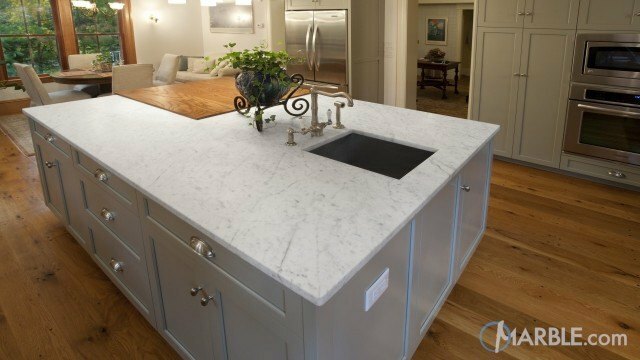 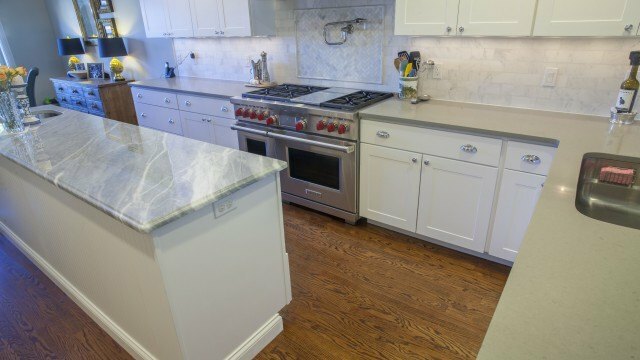 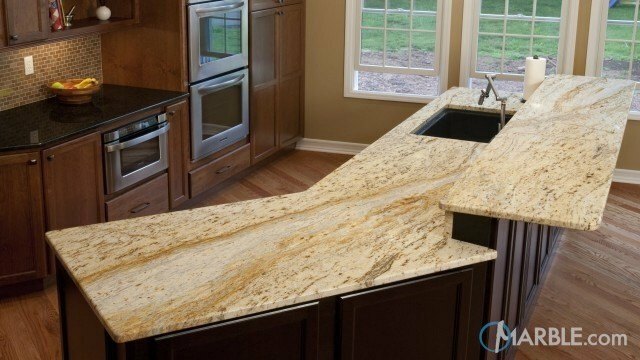 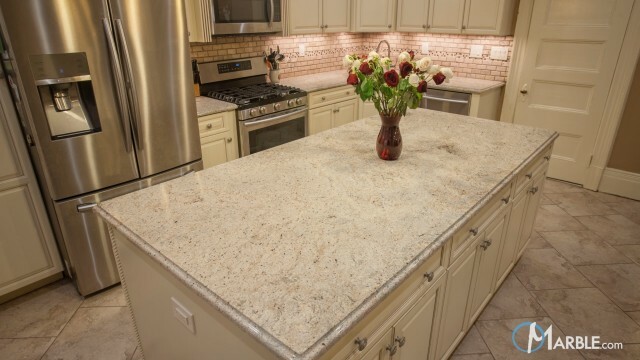 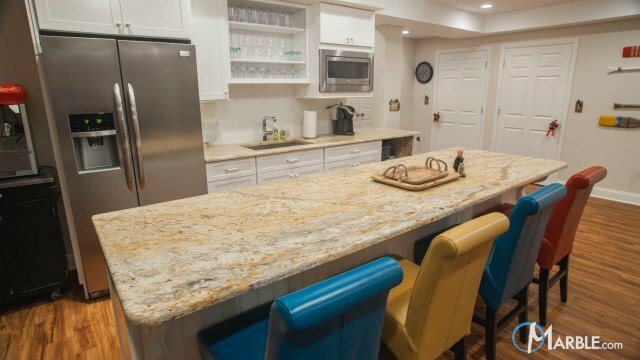 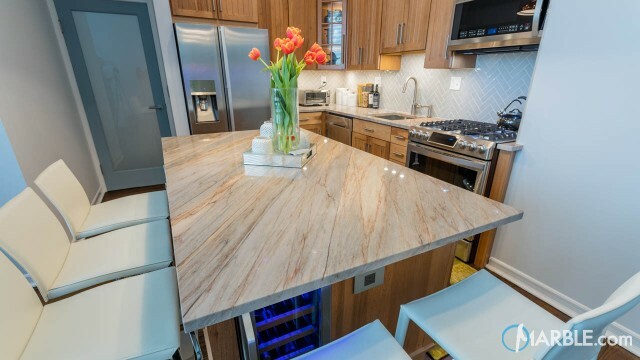 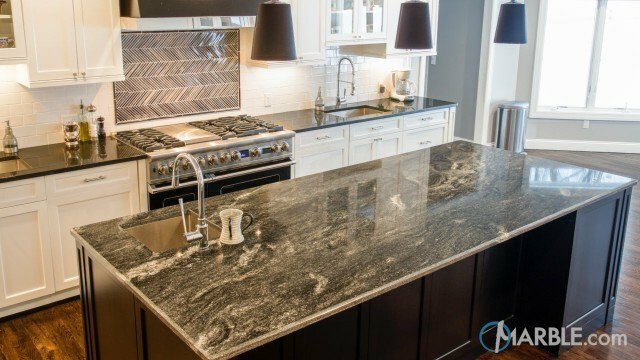 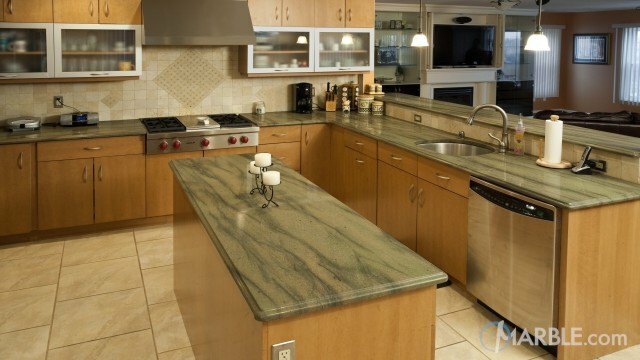 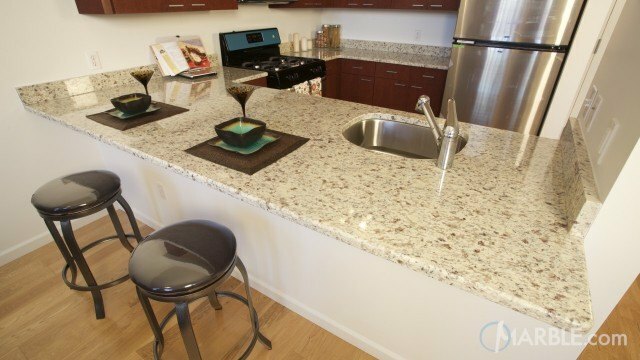 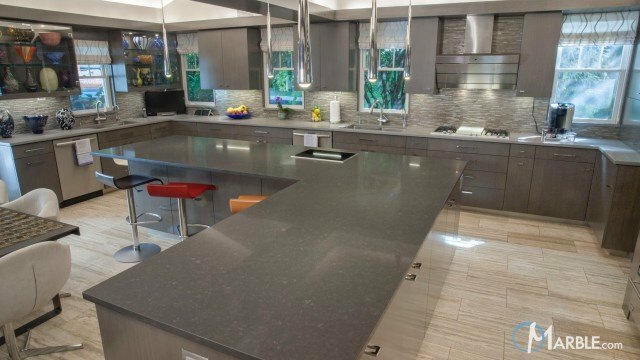 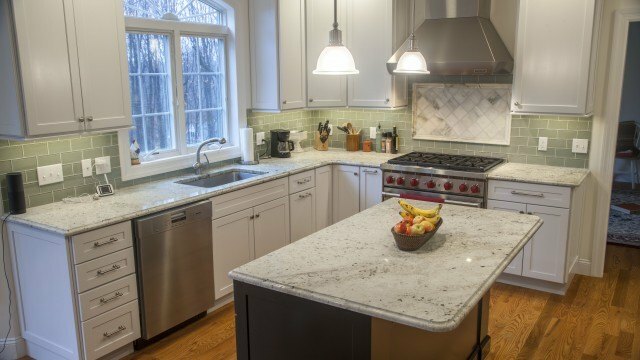 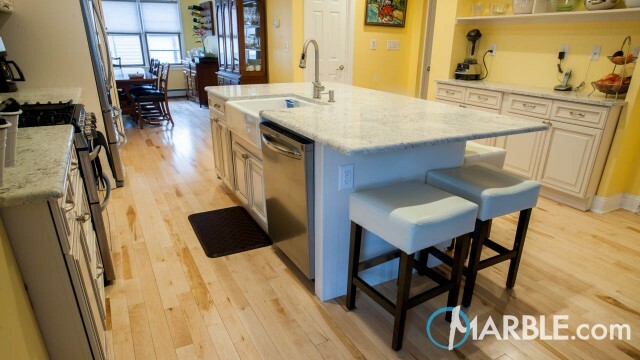 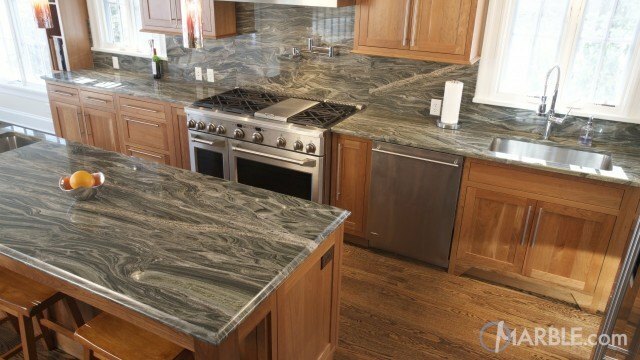 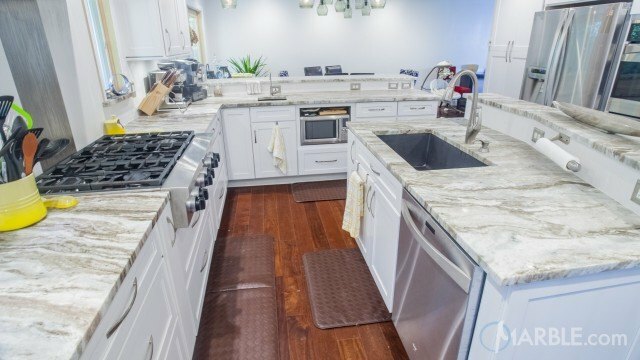 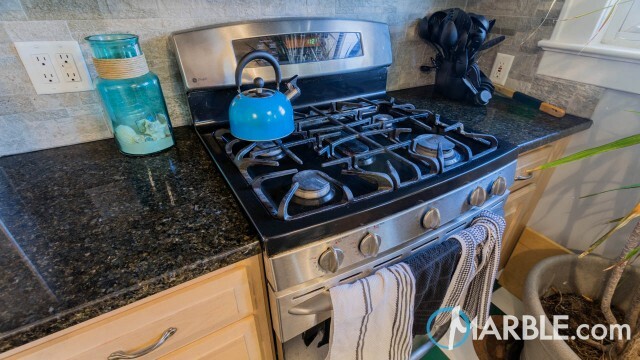 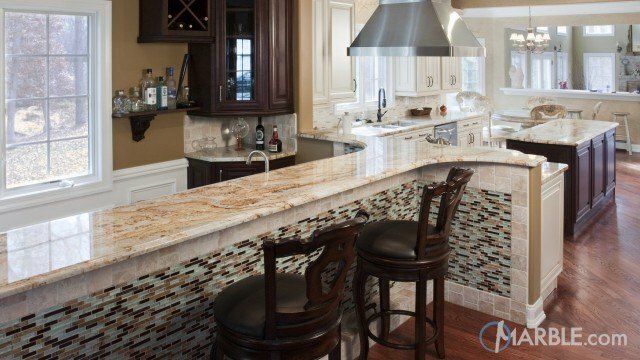 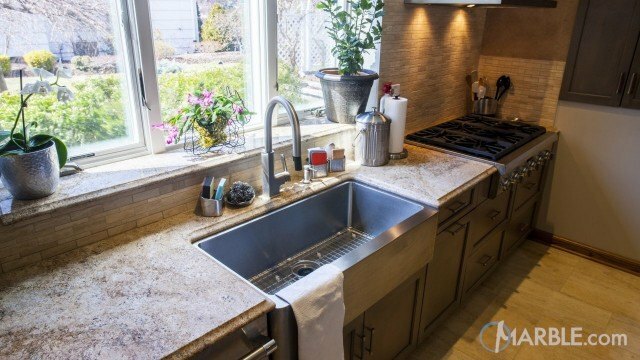 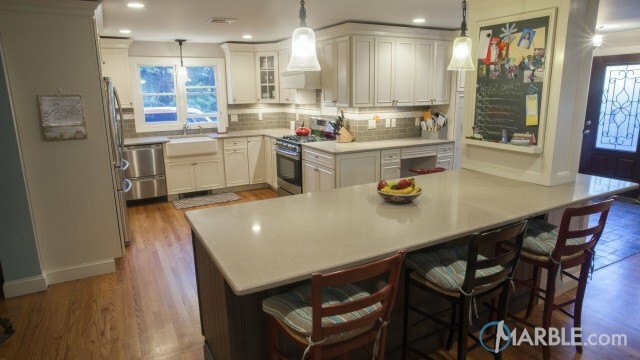 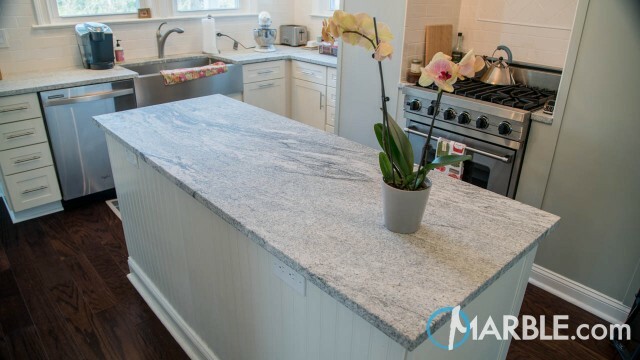 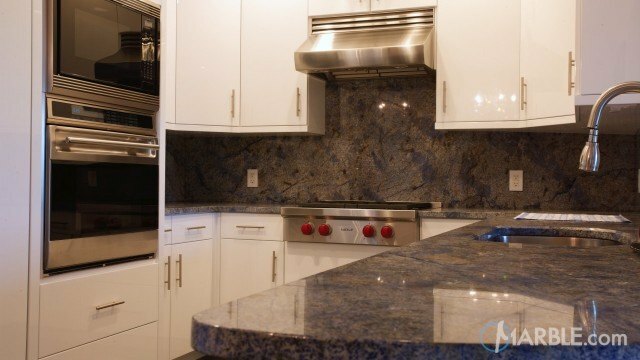 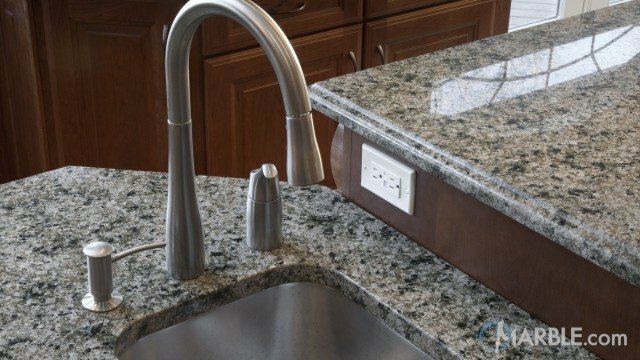 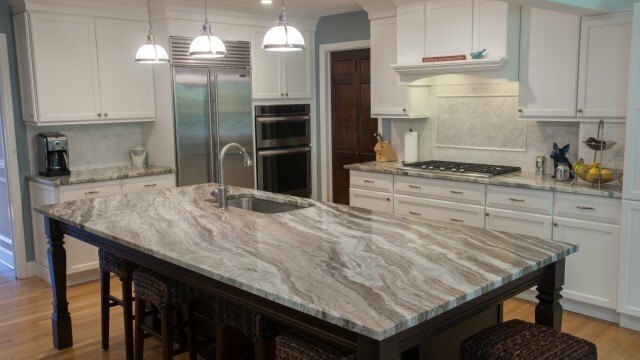 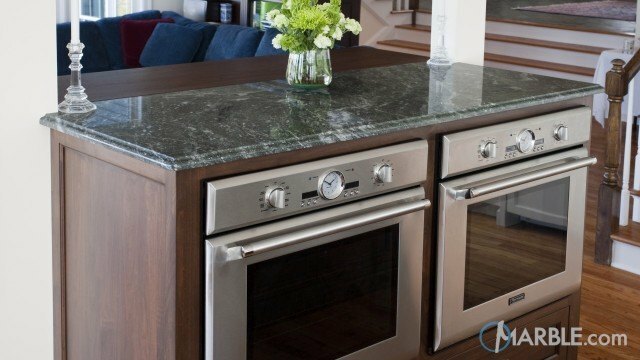 The counter tops feature a 1/4 Bevel Edge.